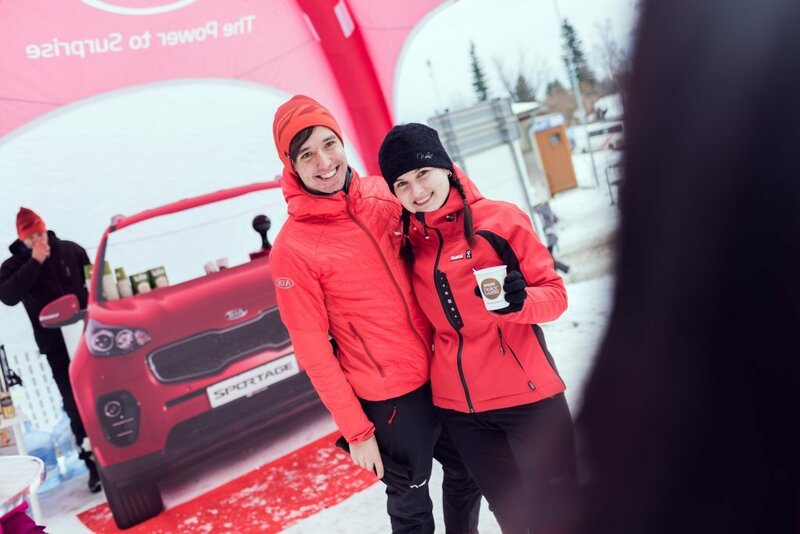 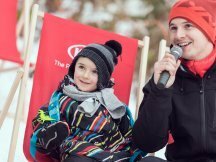 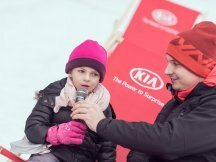 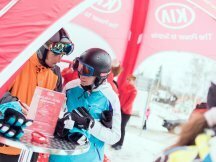 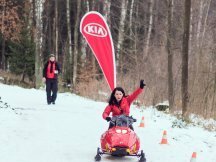 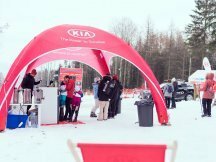 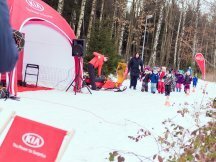 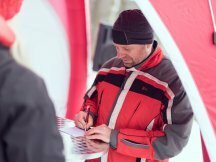 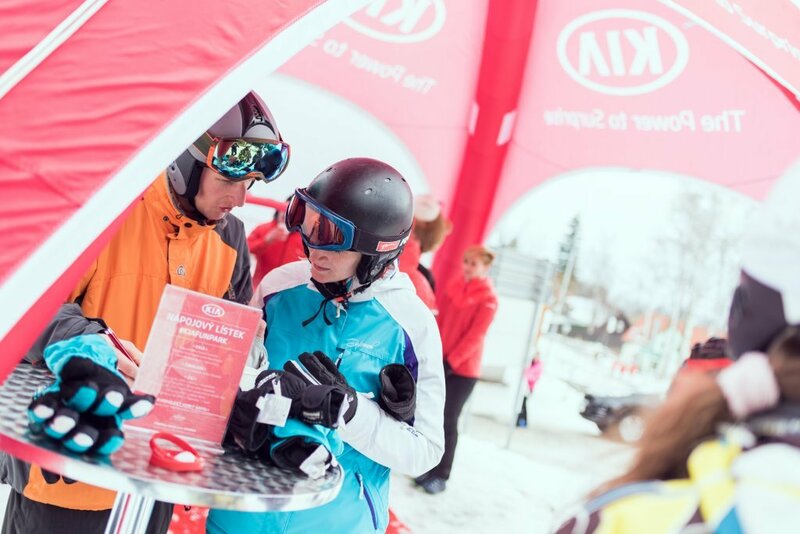 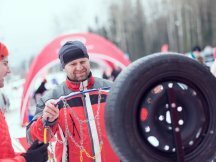 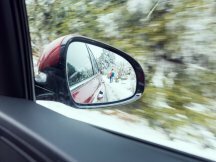 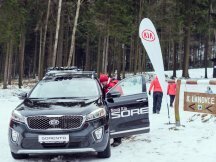 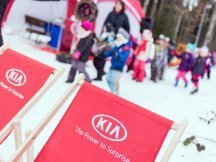 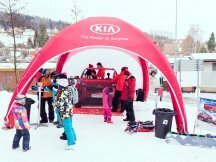 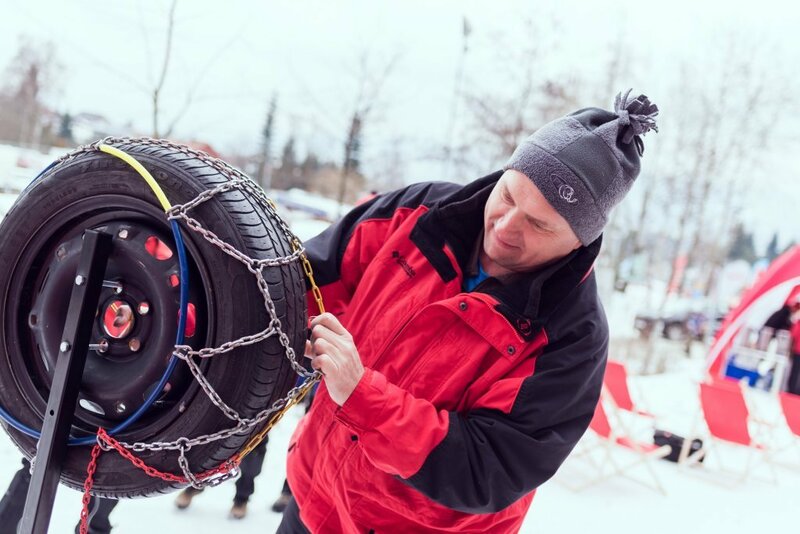 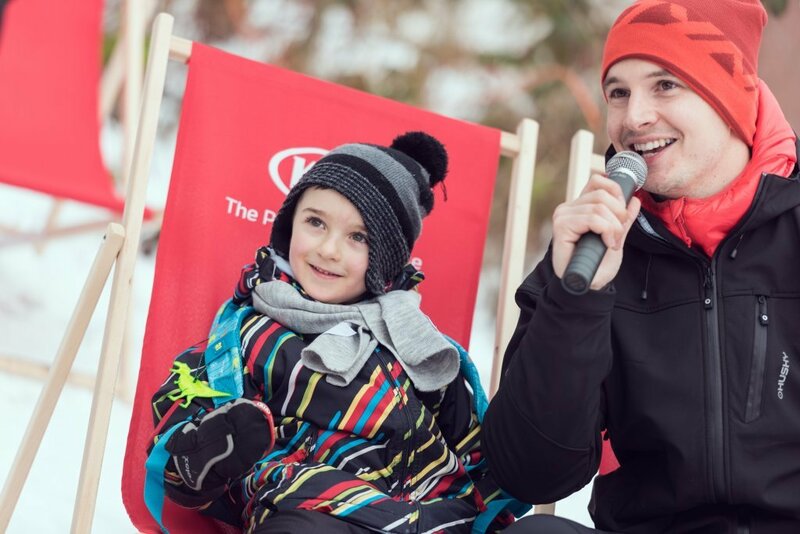 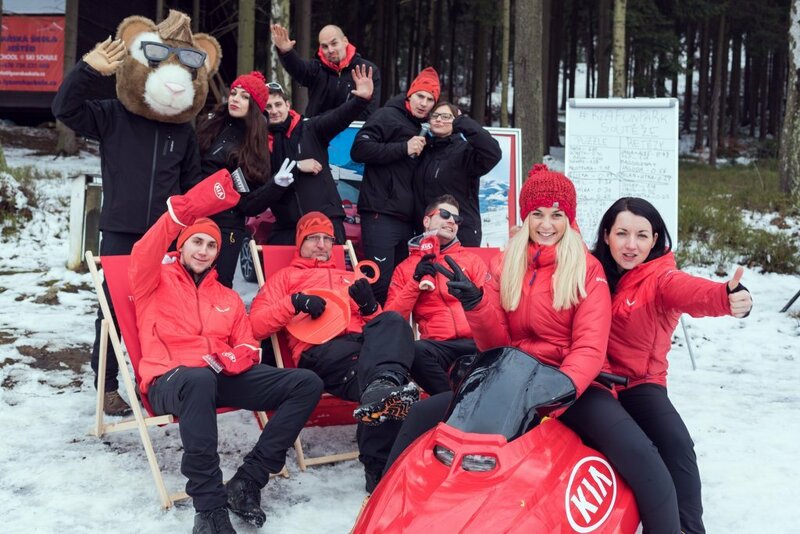 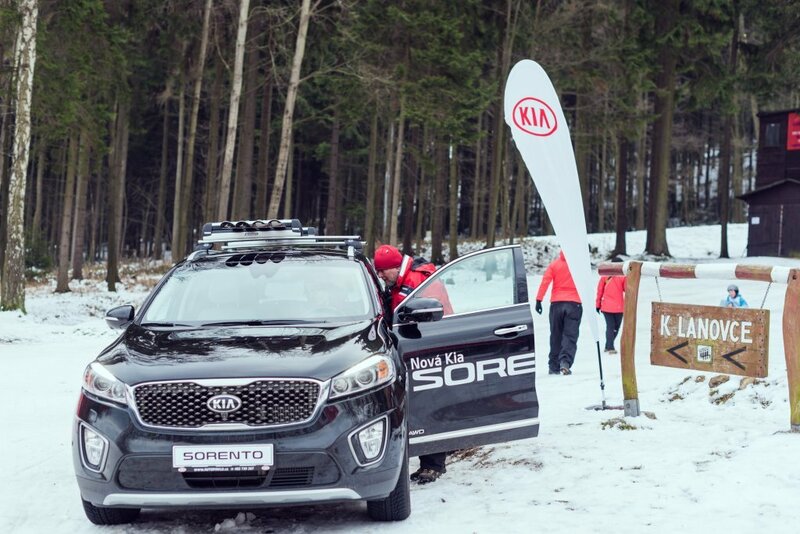 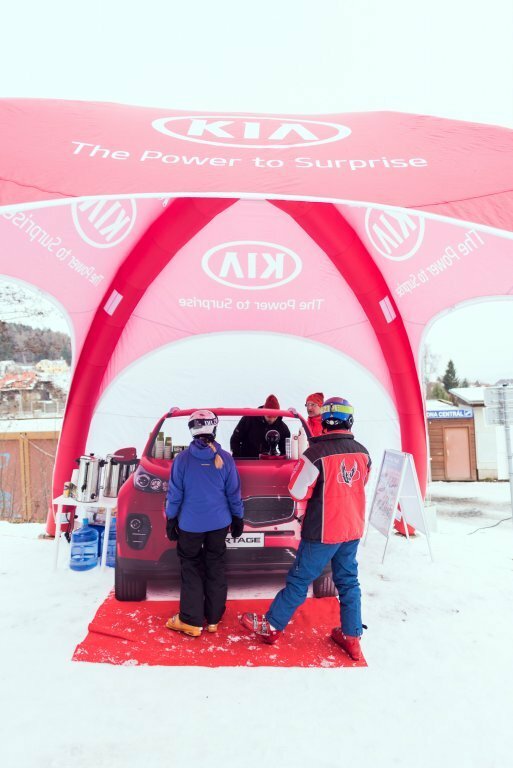 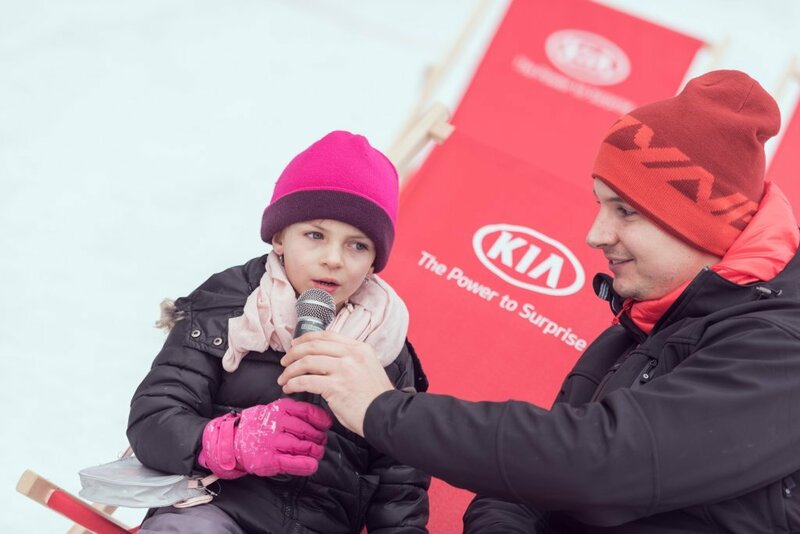 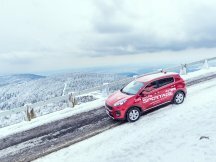 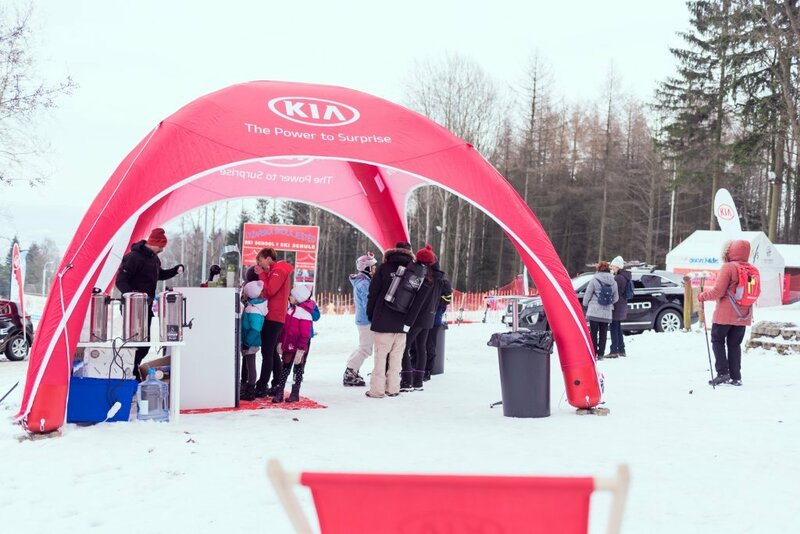 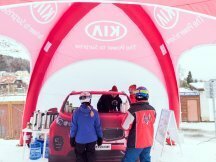 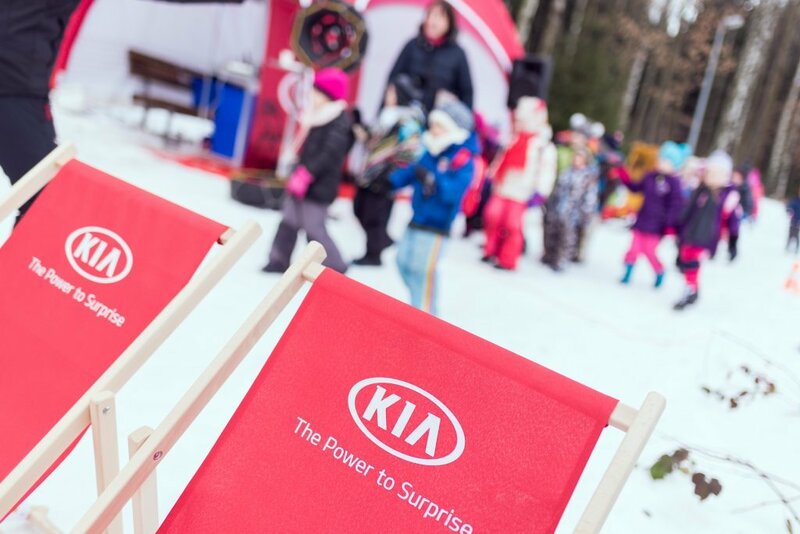 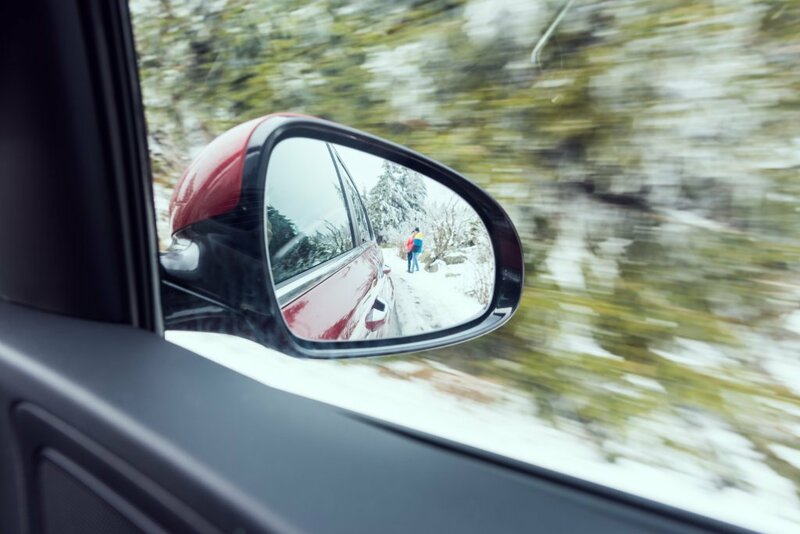 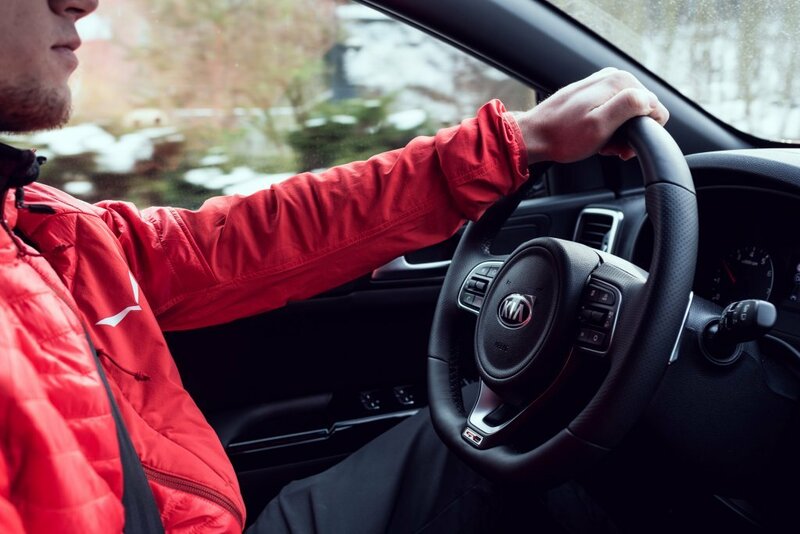 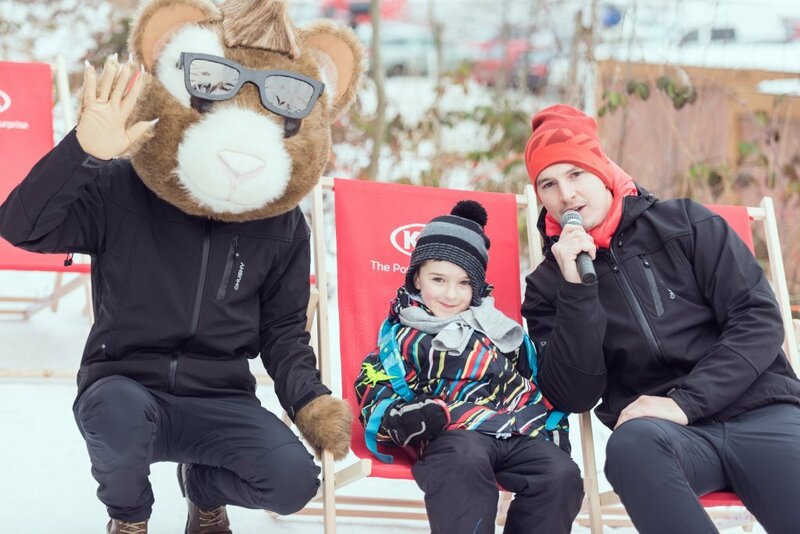 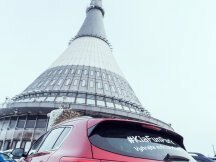 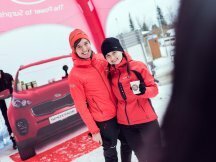 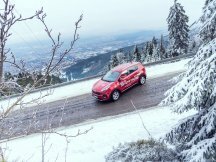 We just launched A Great Winter Road Show for KIA. 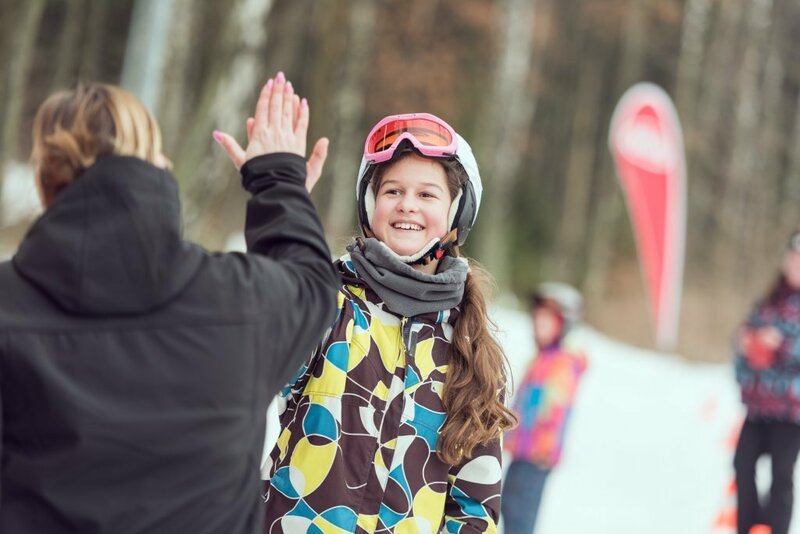 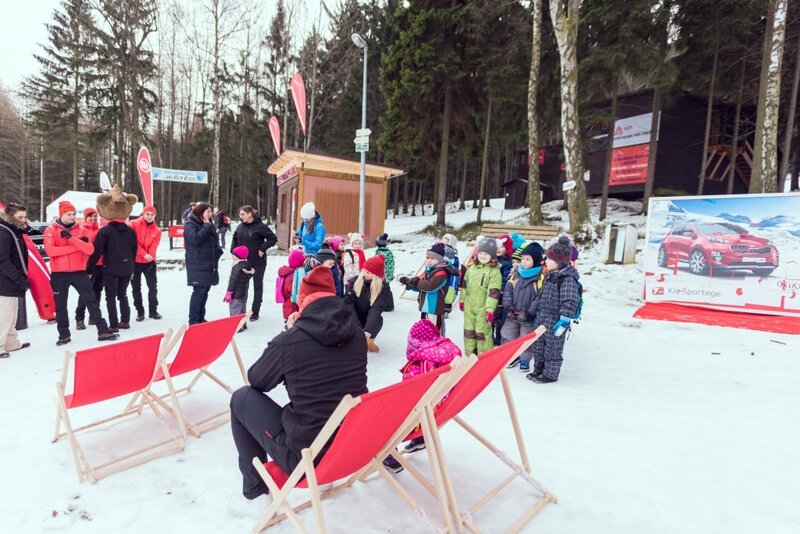 Our first stop was in the Ski Resort Plešivec, the newest and most modern ski center in the Krušné Hory Mountains. 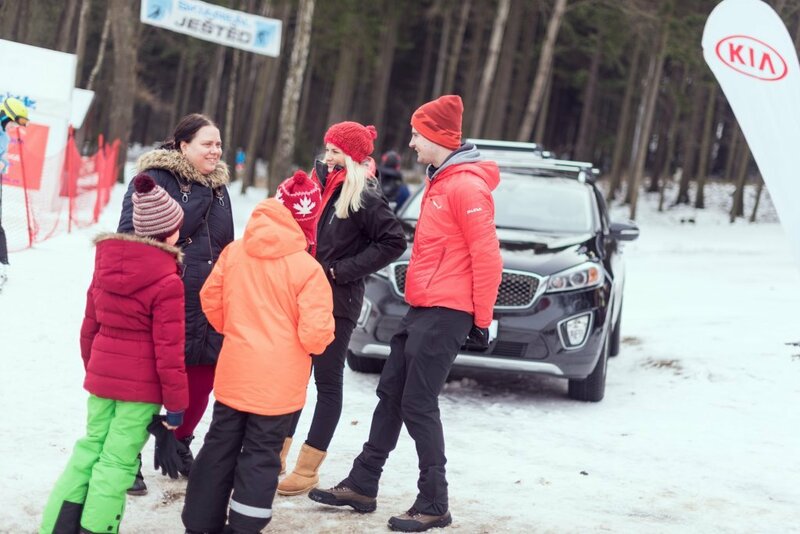 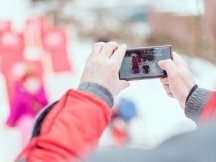 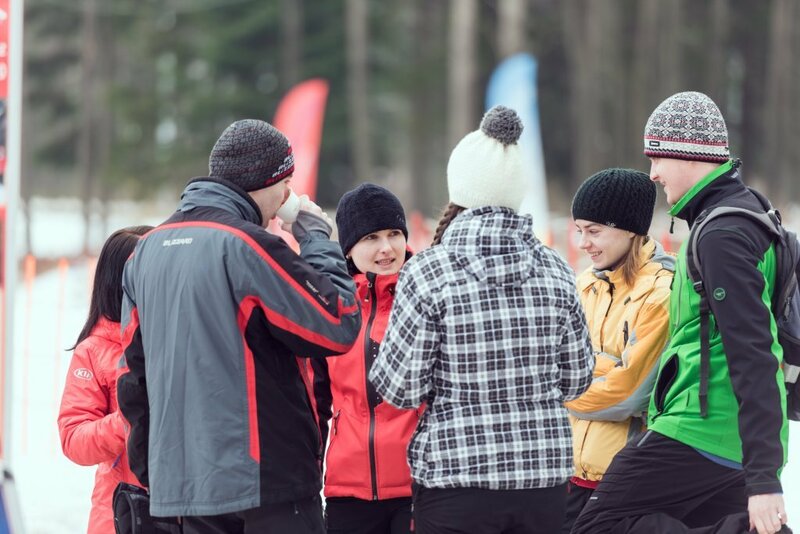 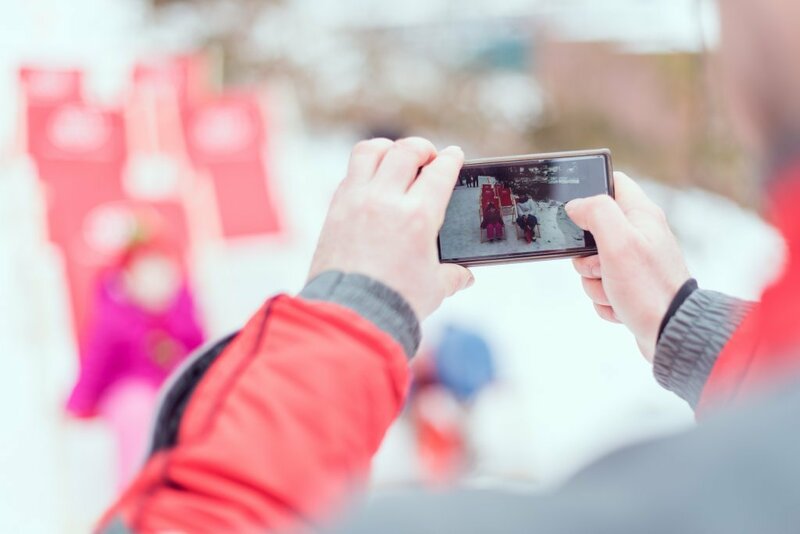 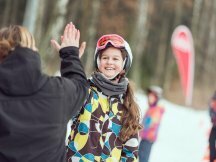 In the near future you will be seeing our team also on Ještěd, Špičák, Monínec Mountains or on the ski slope of Bílá in the Beskydy Mountains. 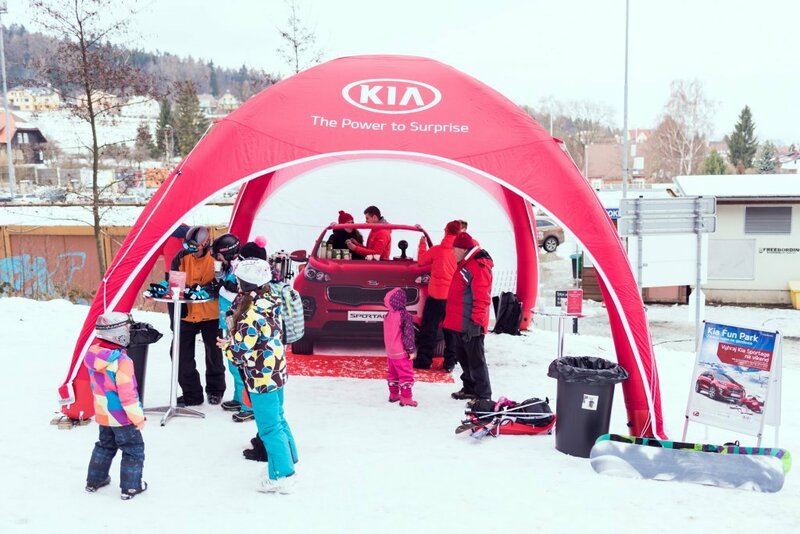 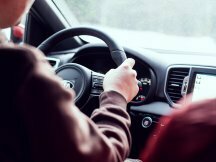 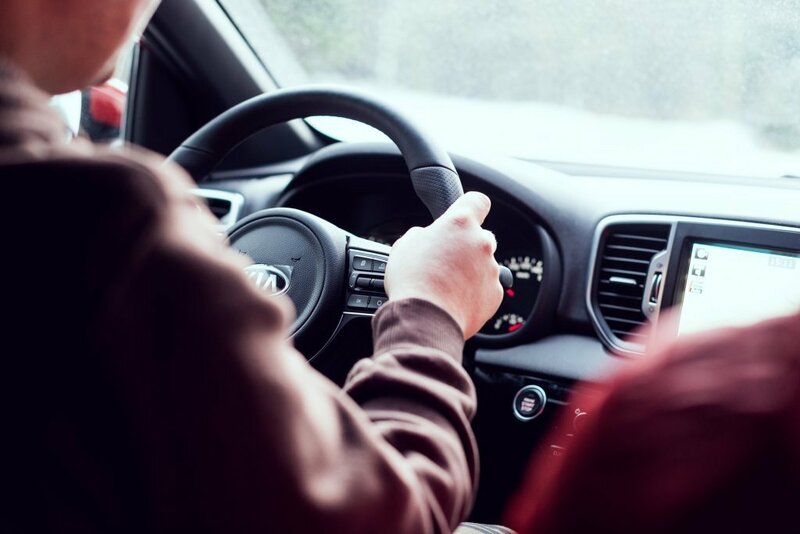 The campaign is primarily focusing on families and every family member can find their favorite fun thing to do in the KIA FUN PARK. 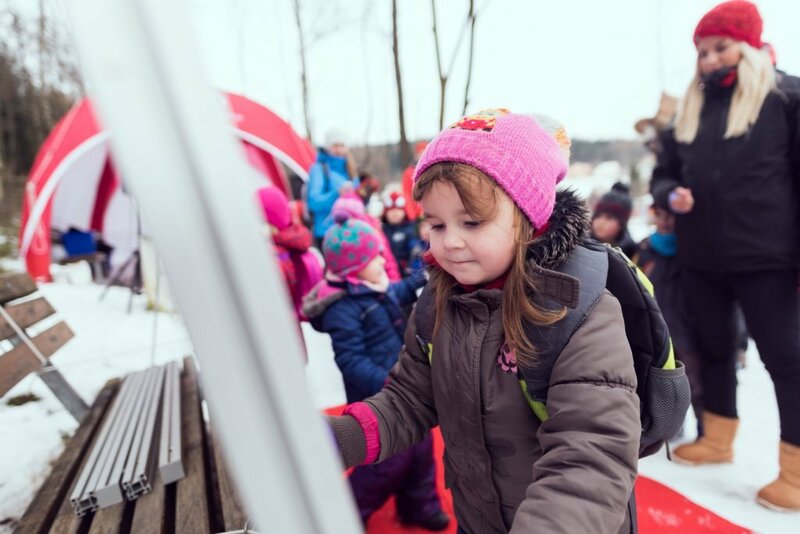 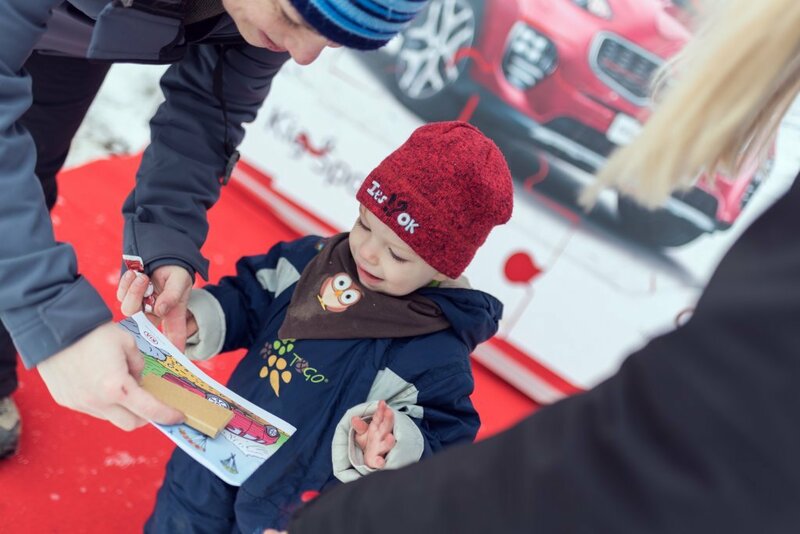 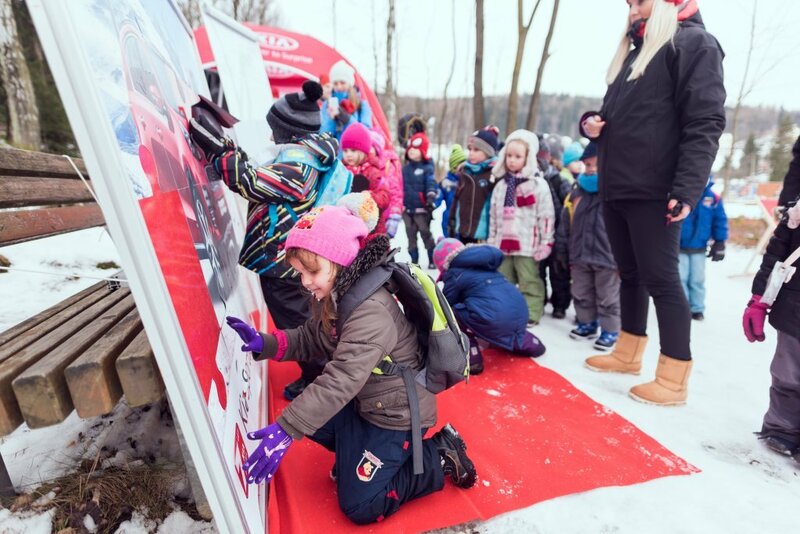 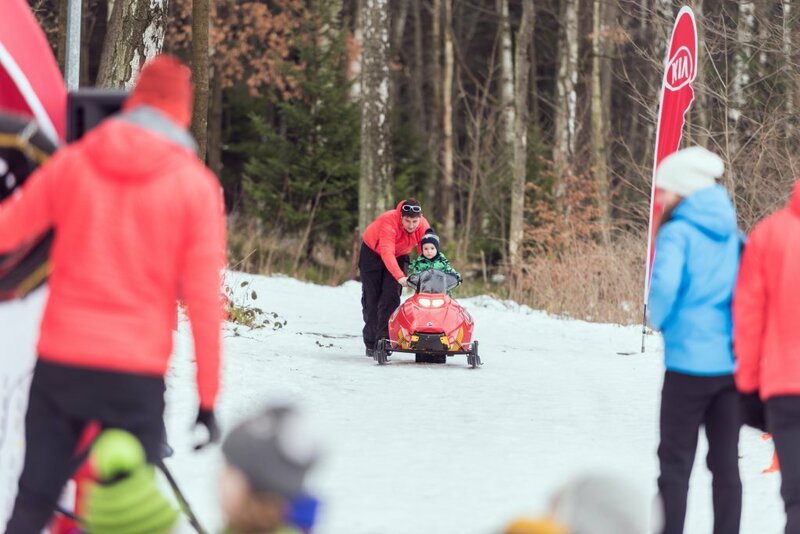 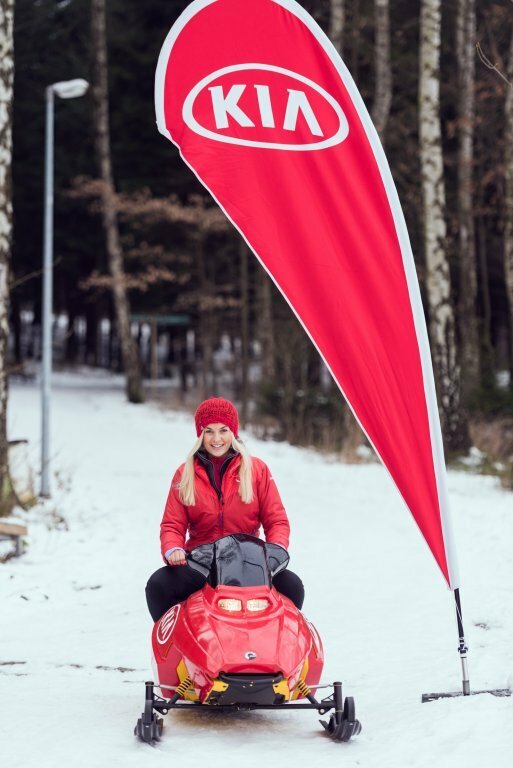 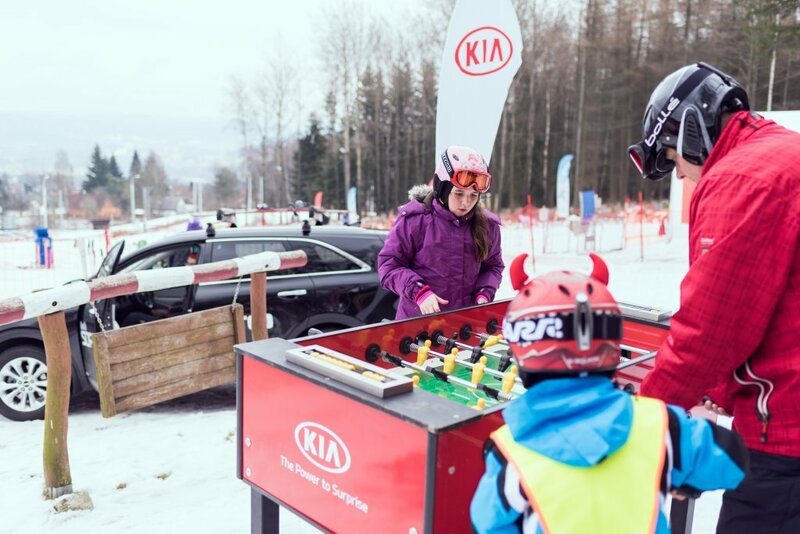 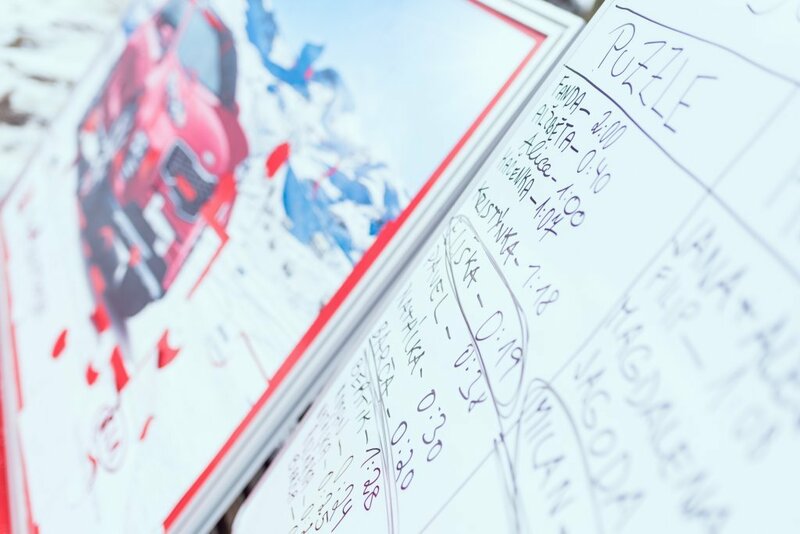 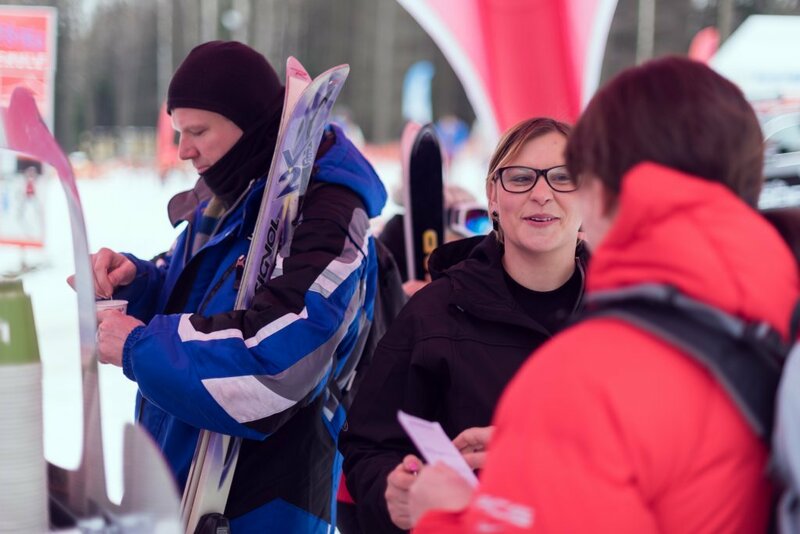 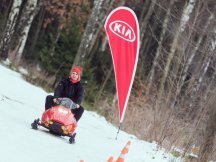 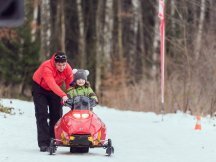 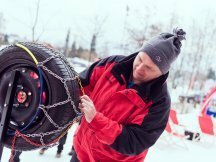 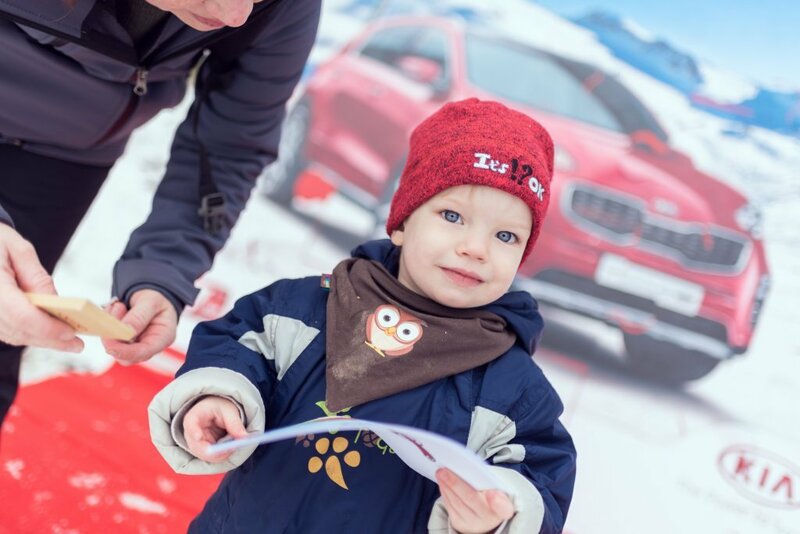 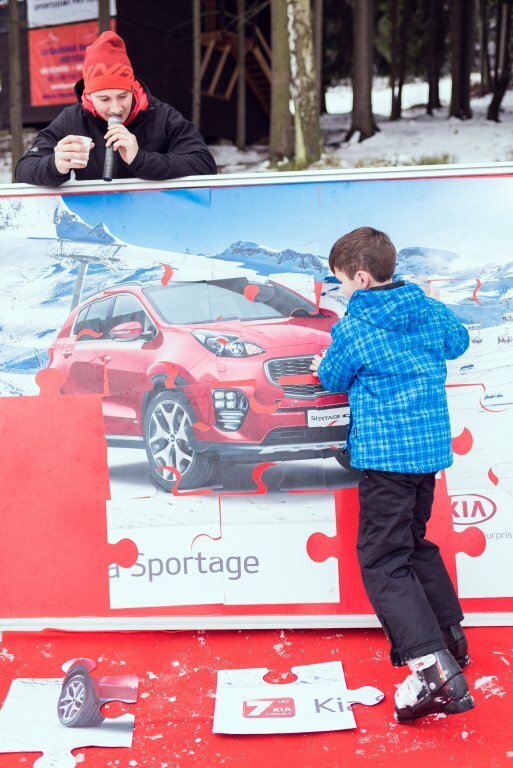 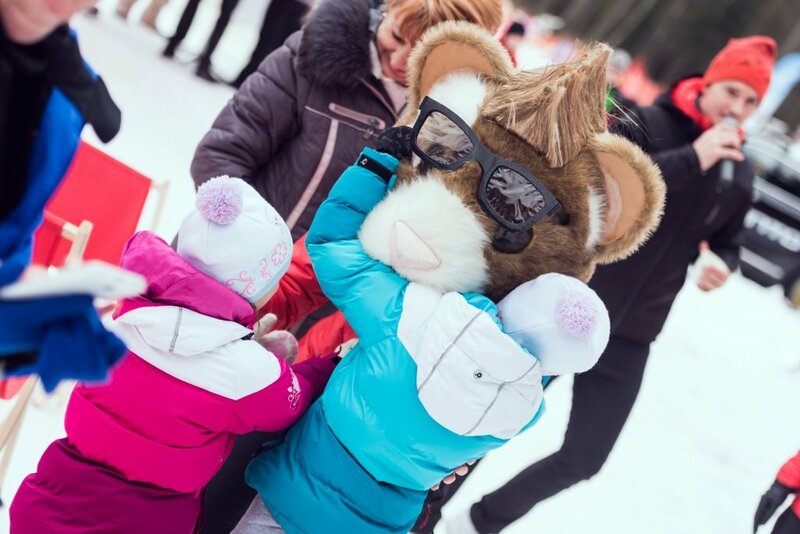 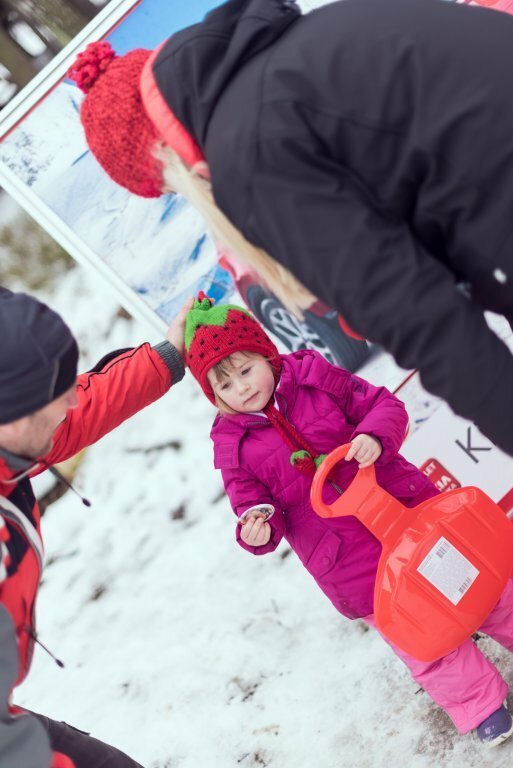 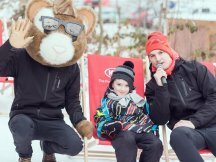 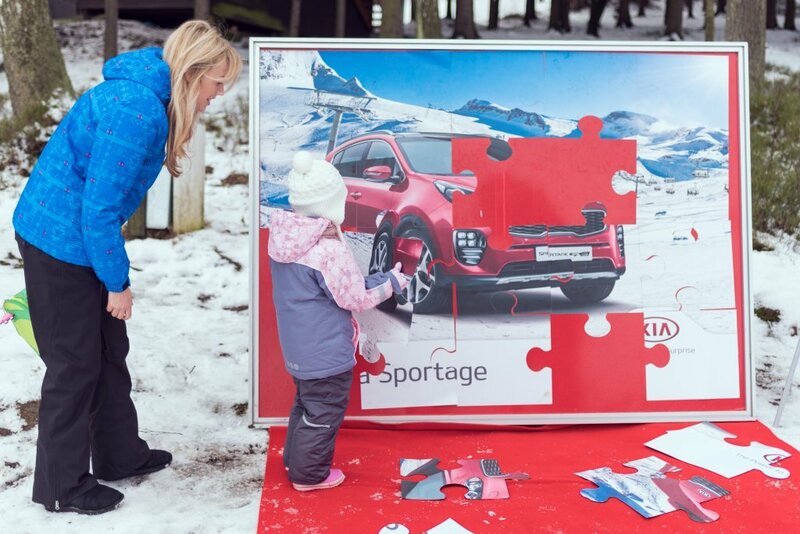 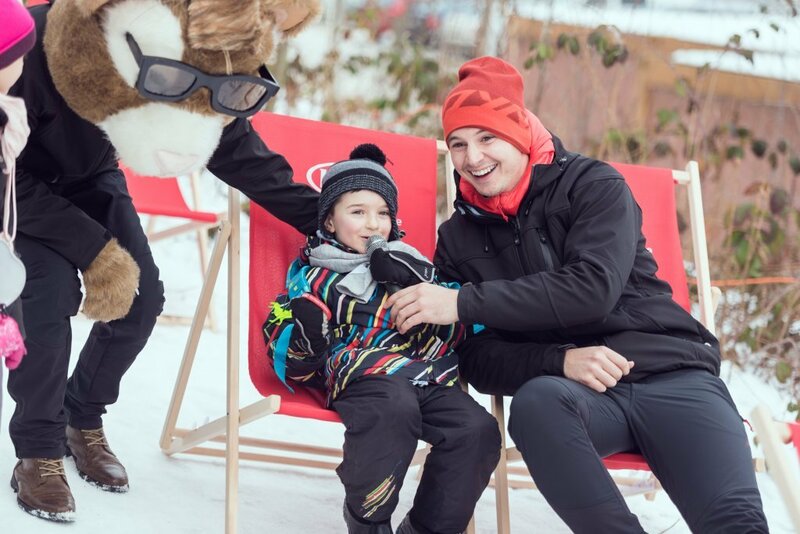 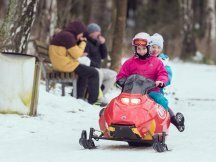 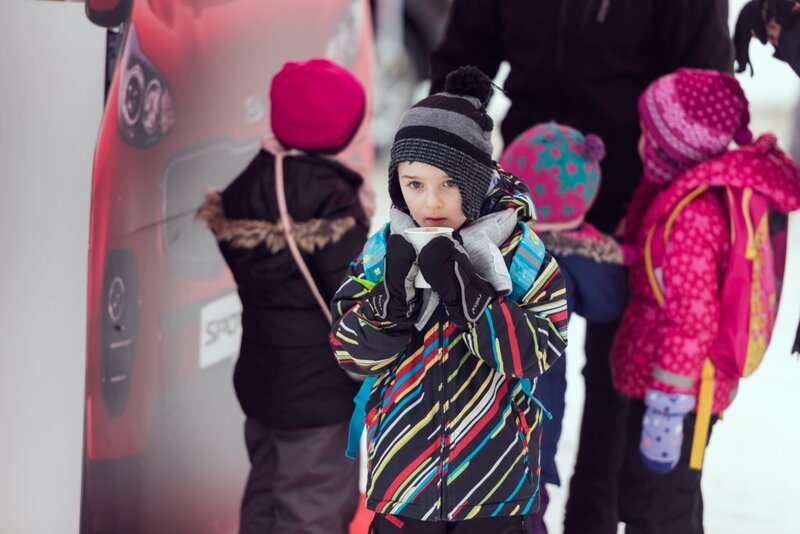 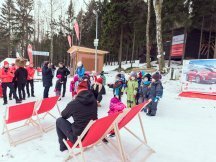 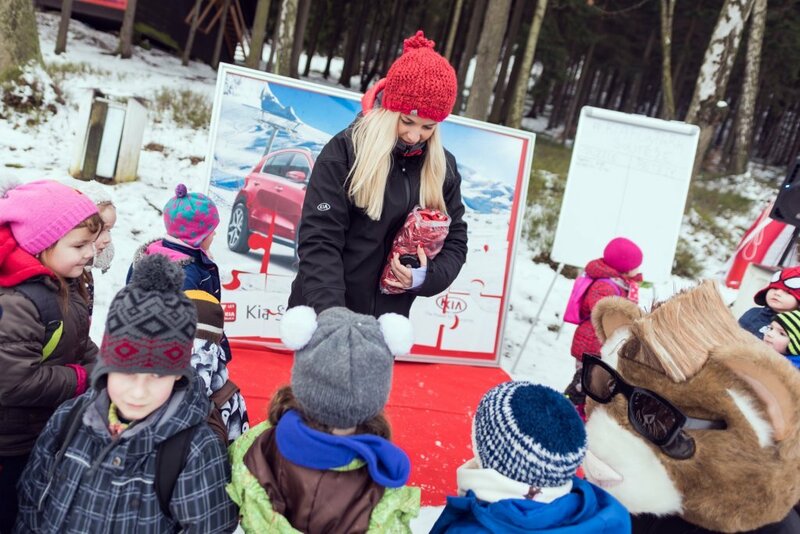 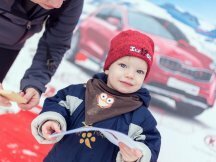 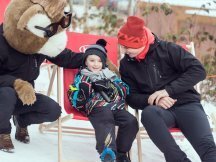 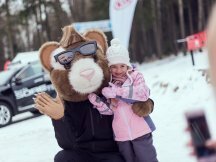 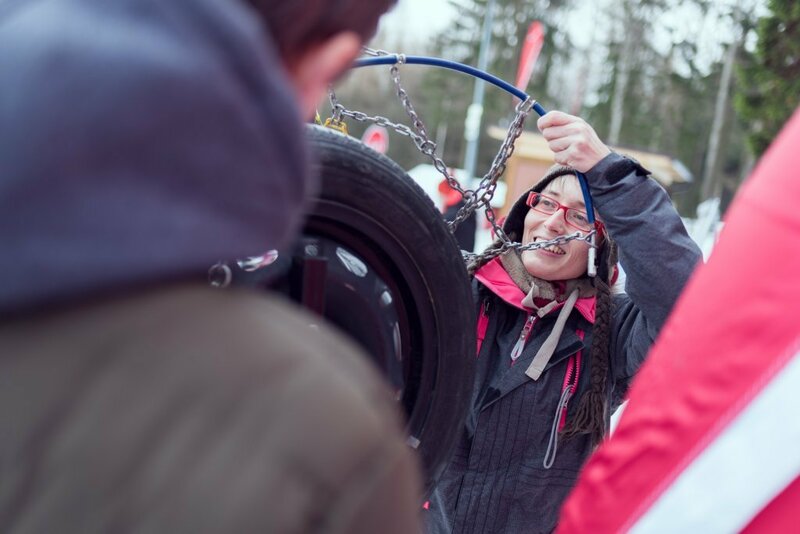 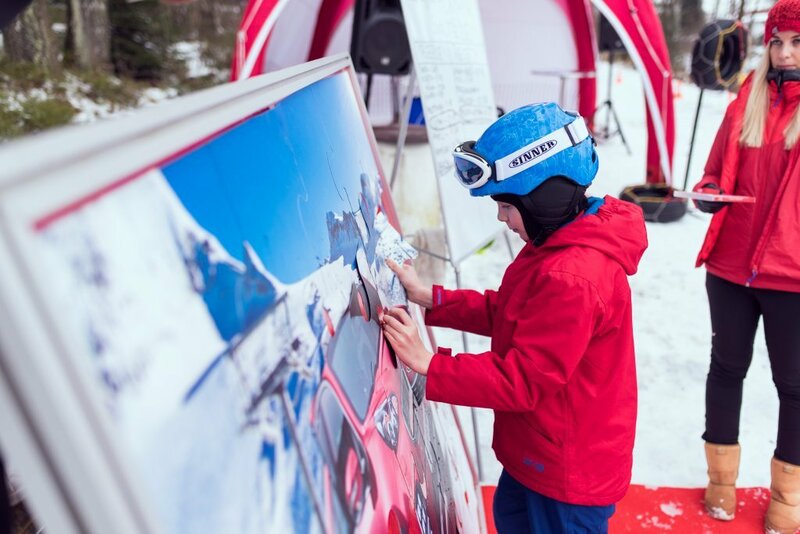 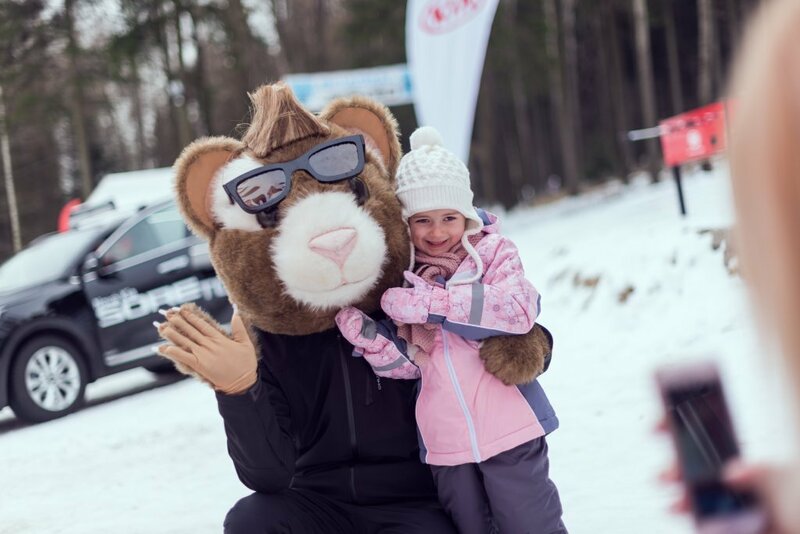 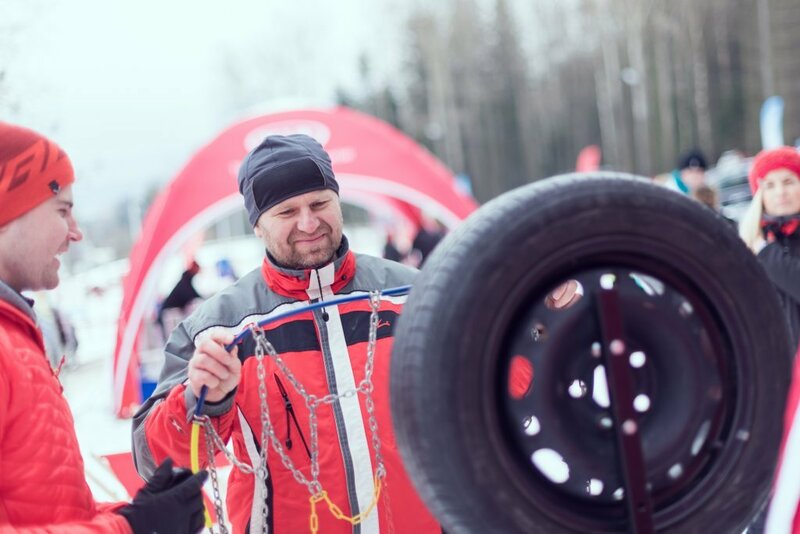 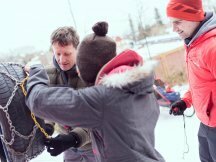 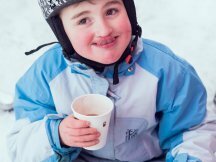 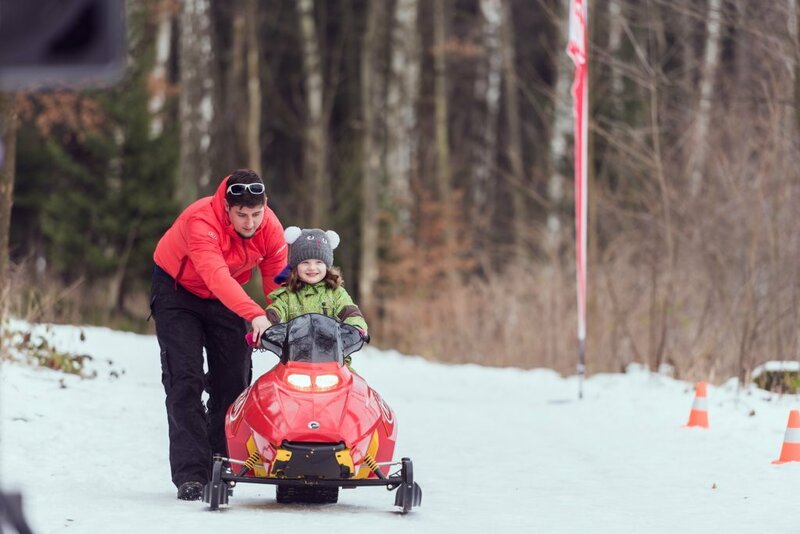 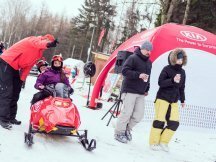 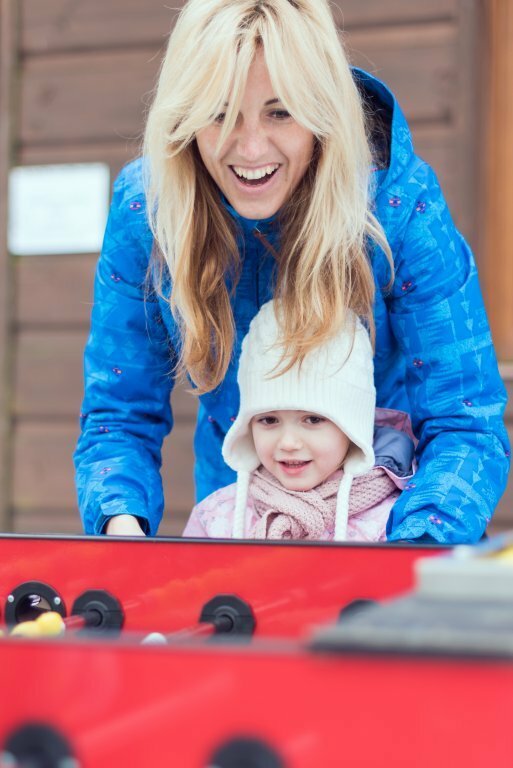 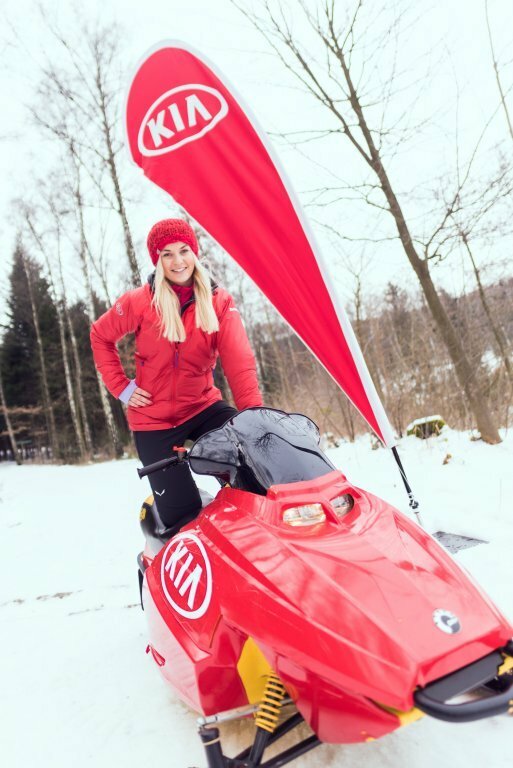 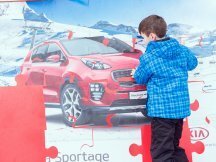 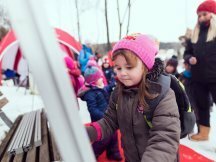 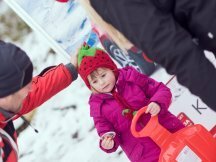 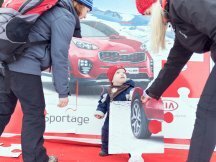 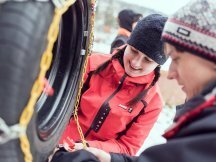 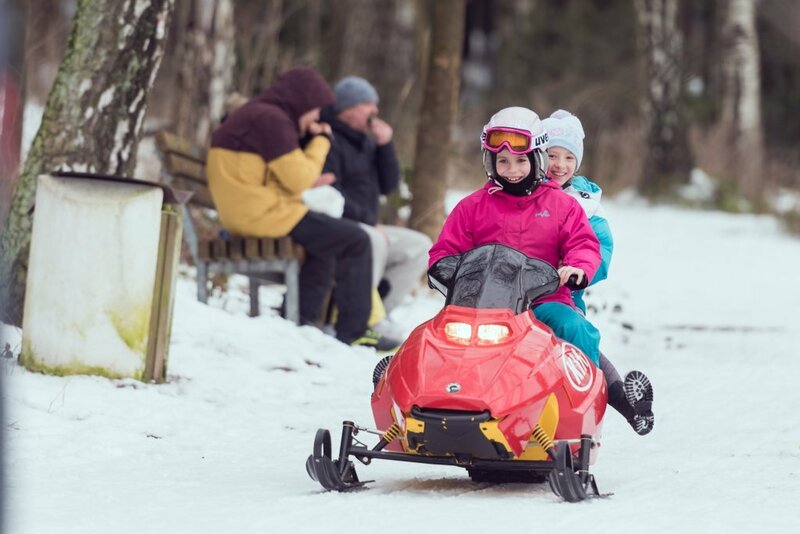 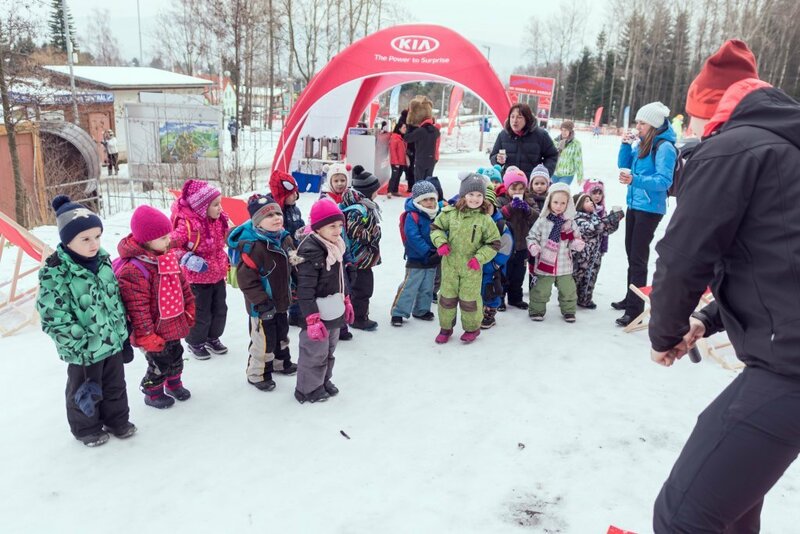 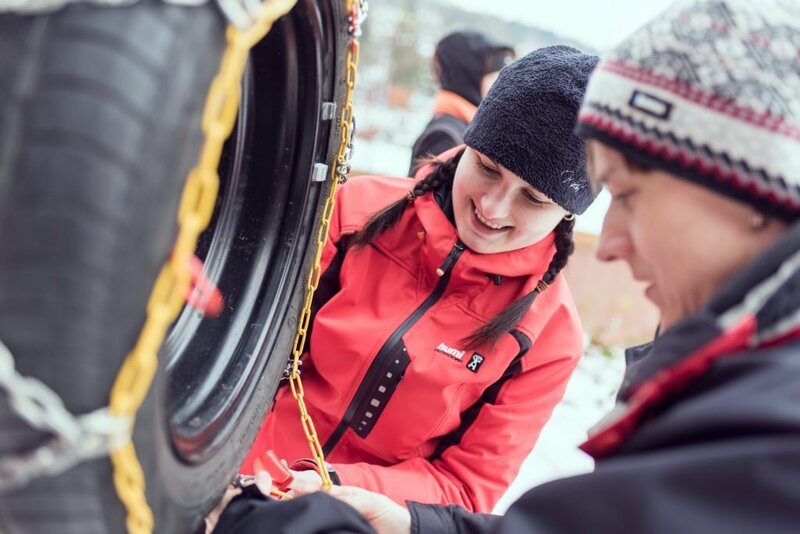 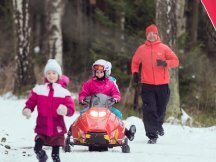 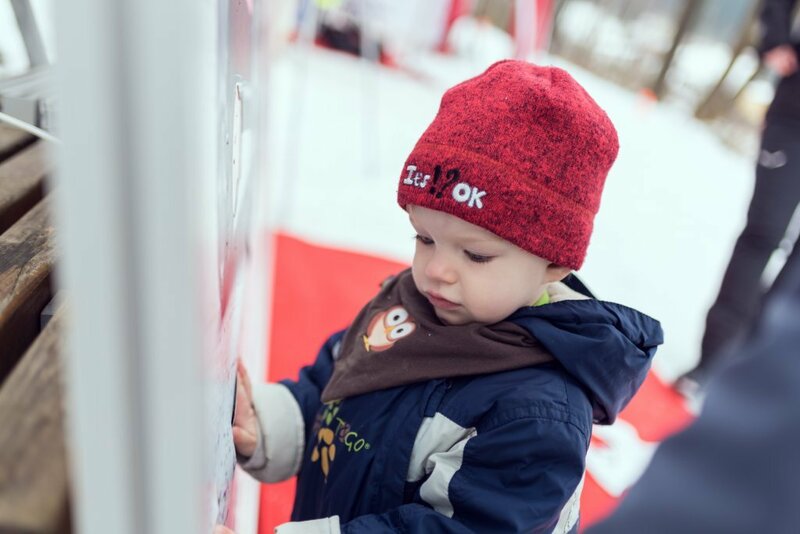 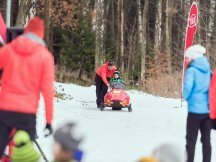 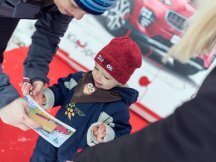 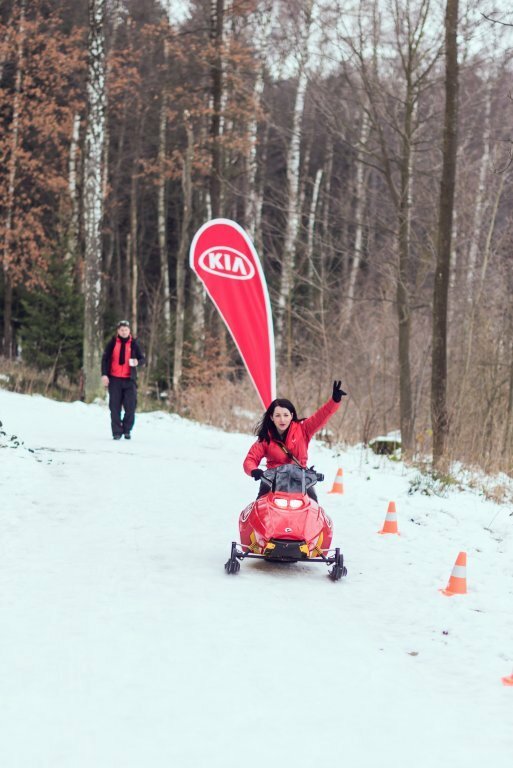 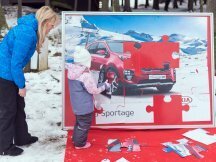 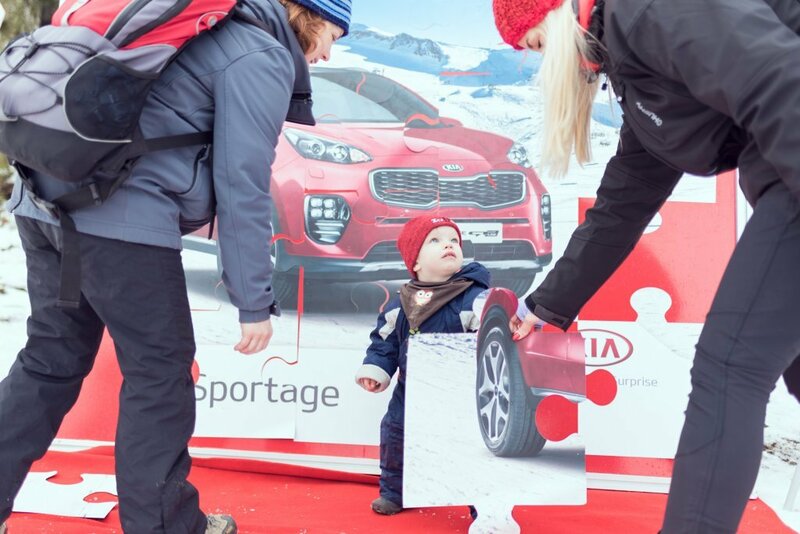 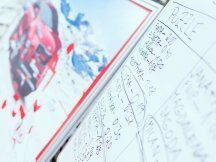 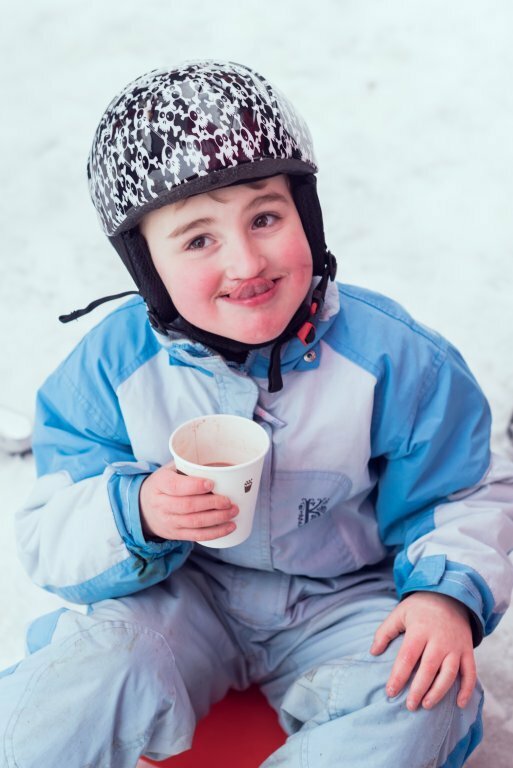 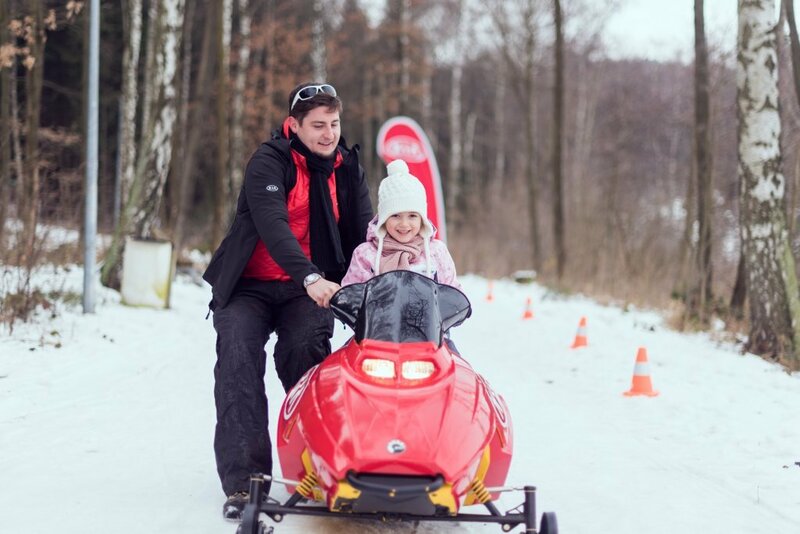 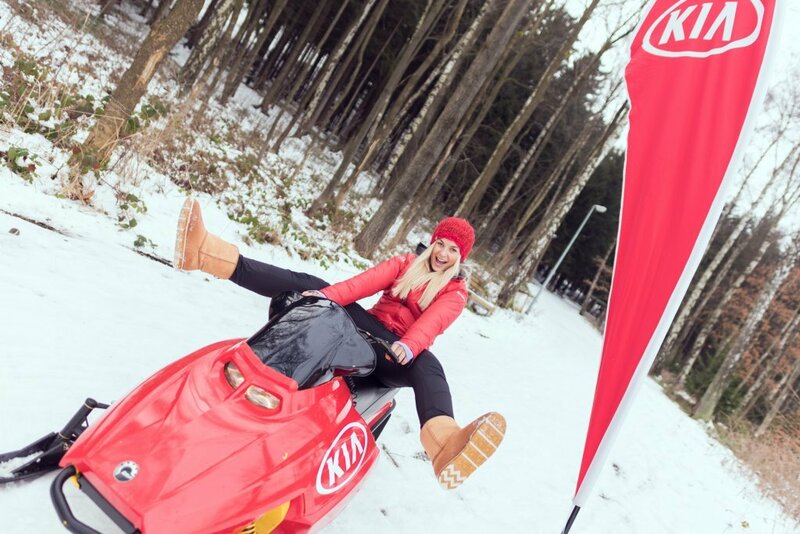 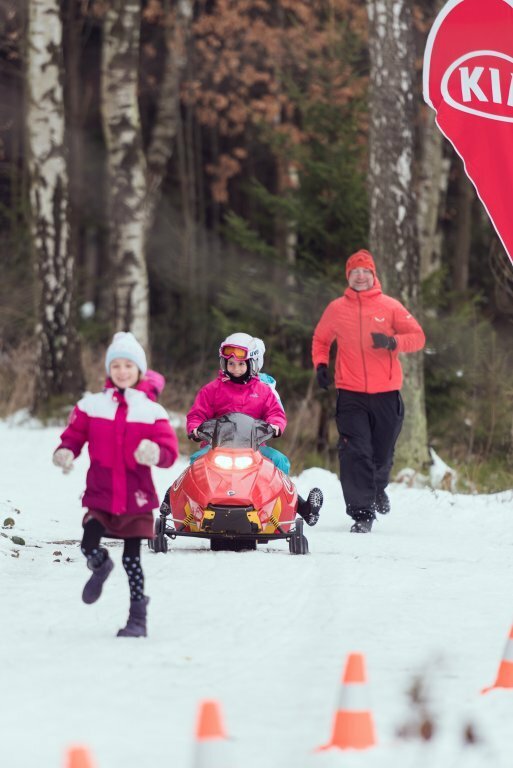 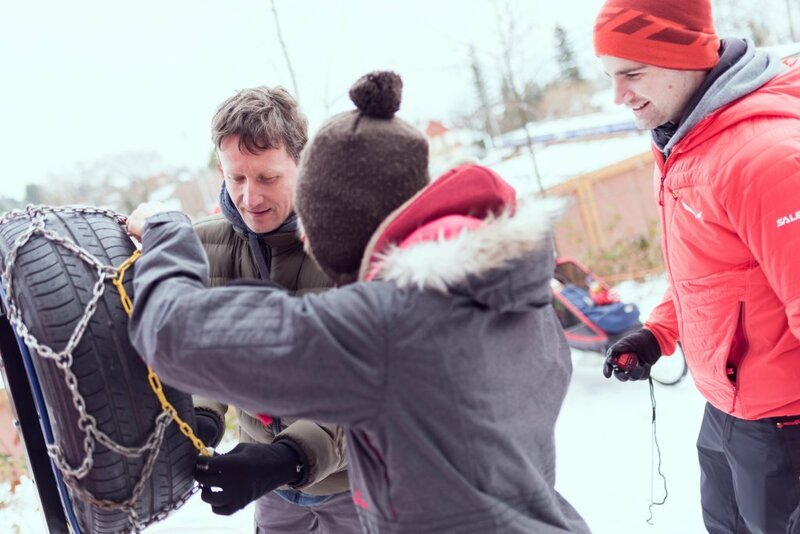 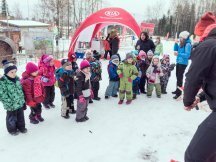 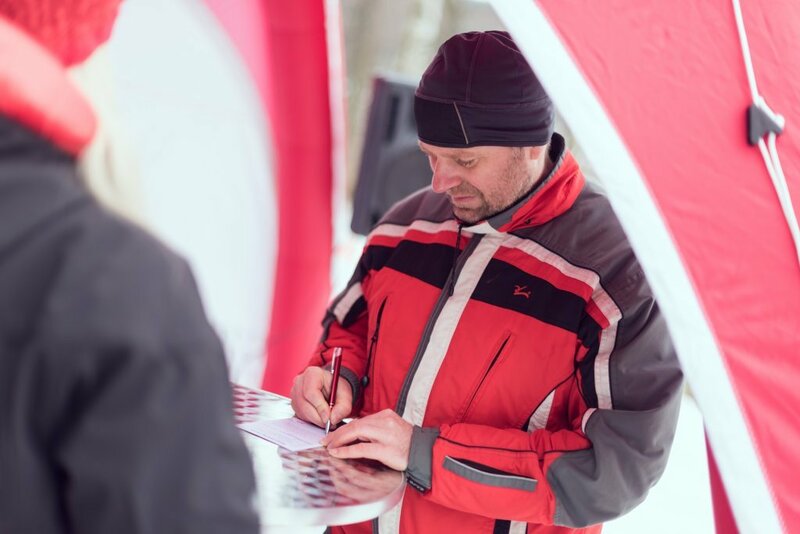 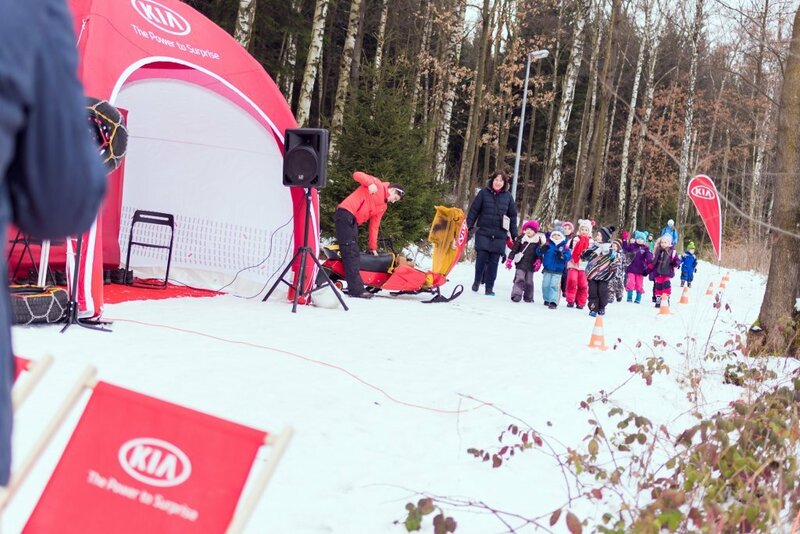 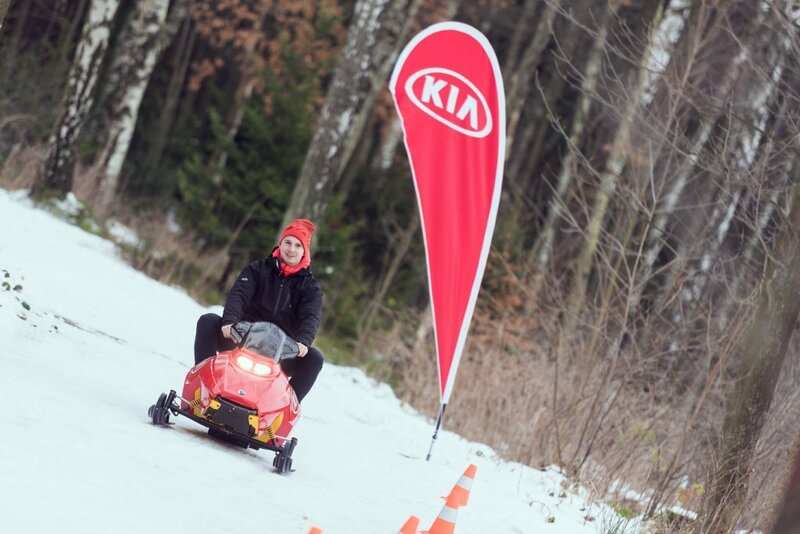 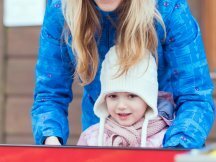 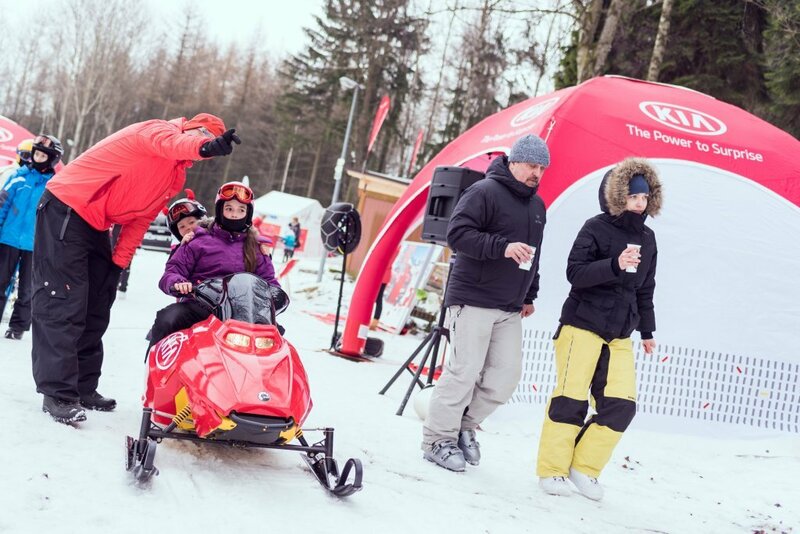 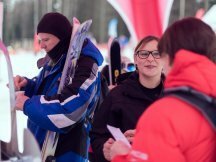 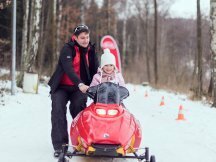 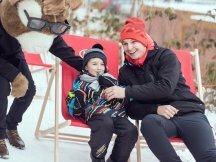 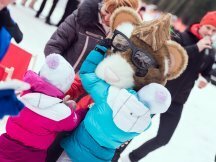 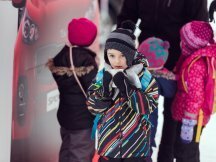 For children there are activities like KIA’s Giant puzzle or a chance to ride a genuine children´s snowmobile. 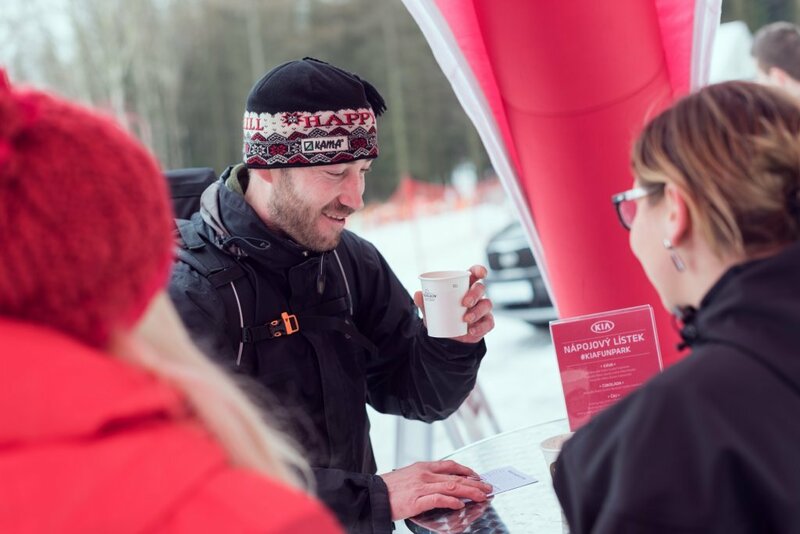 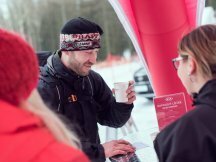 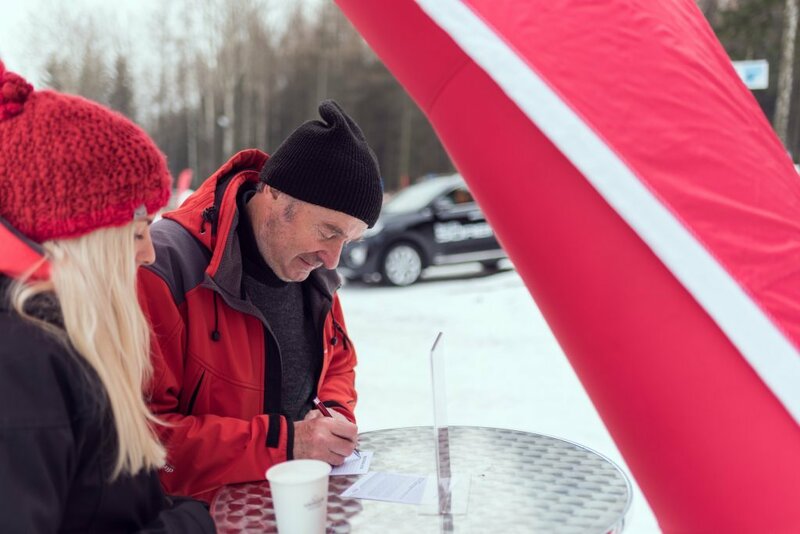 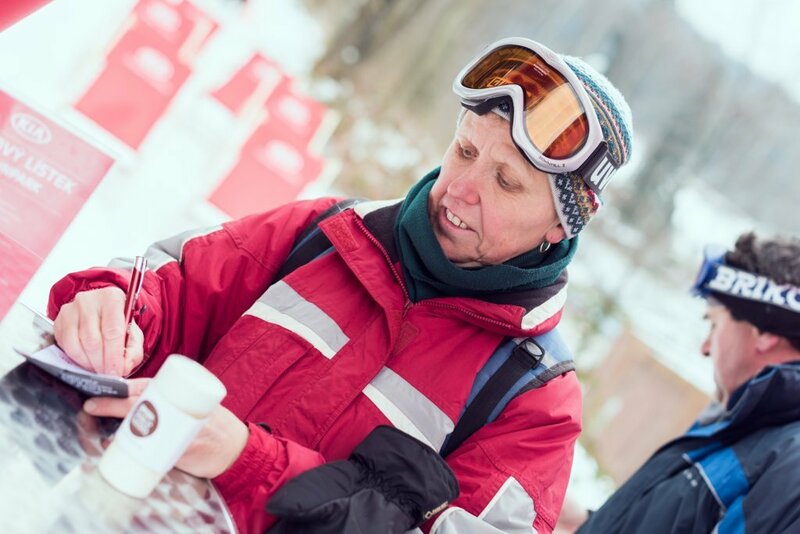 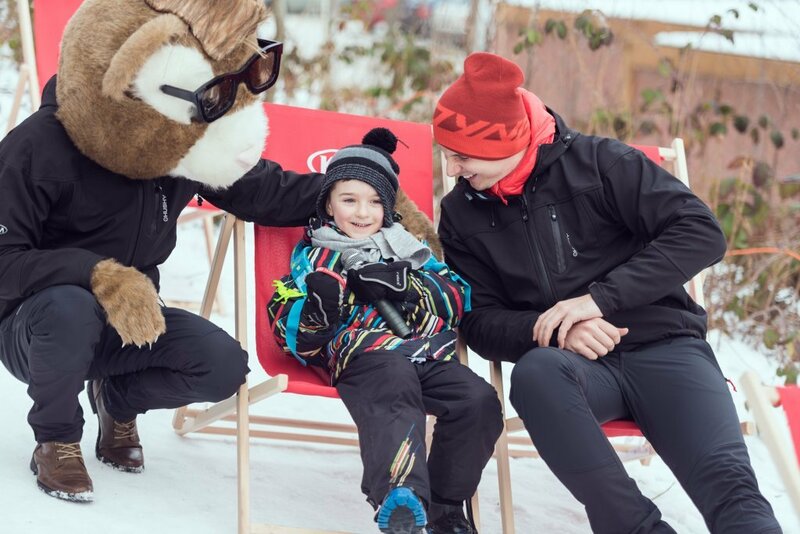 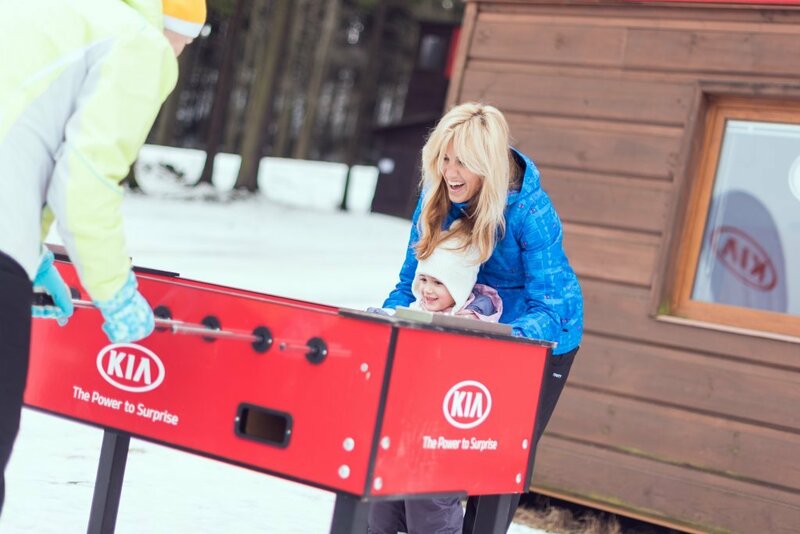 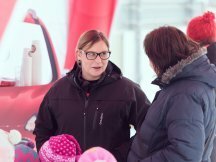 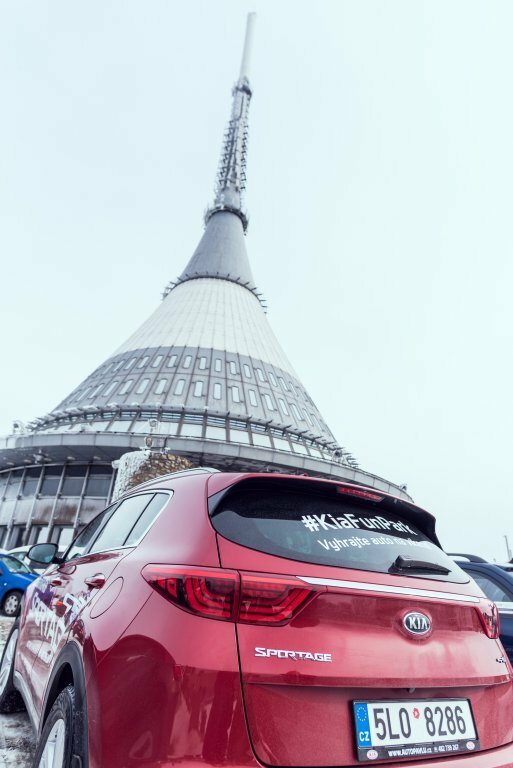 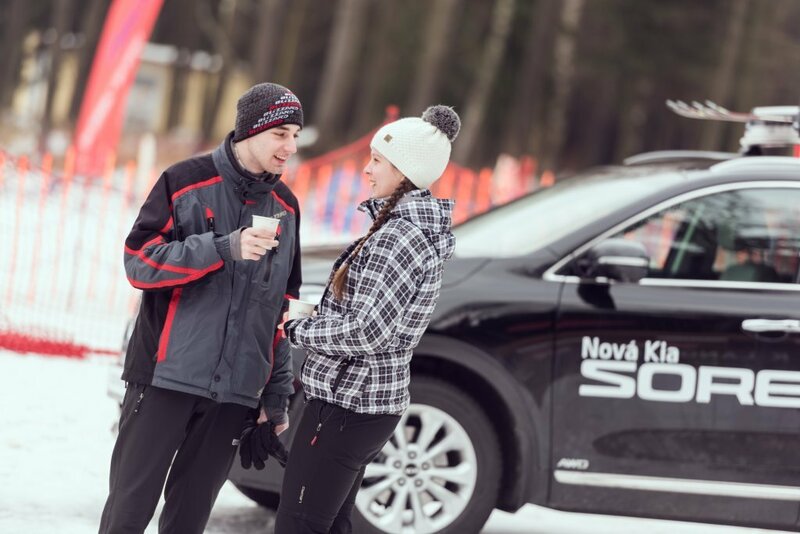 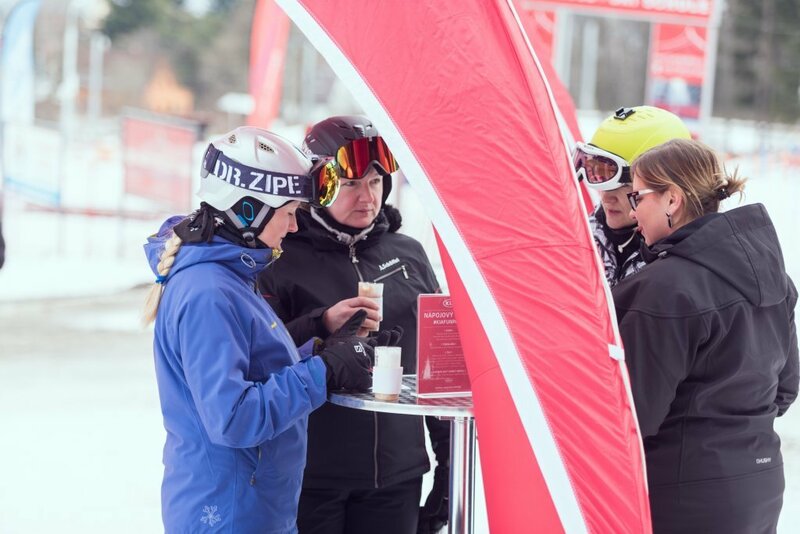 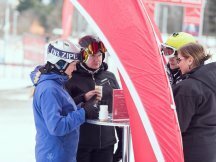 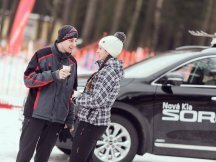 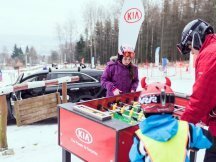 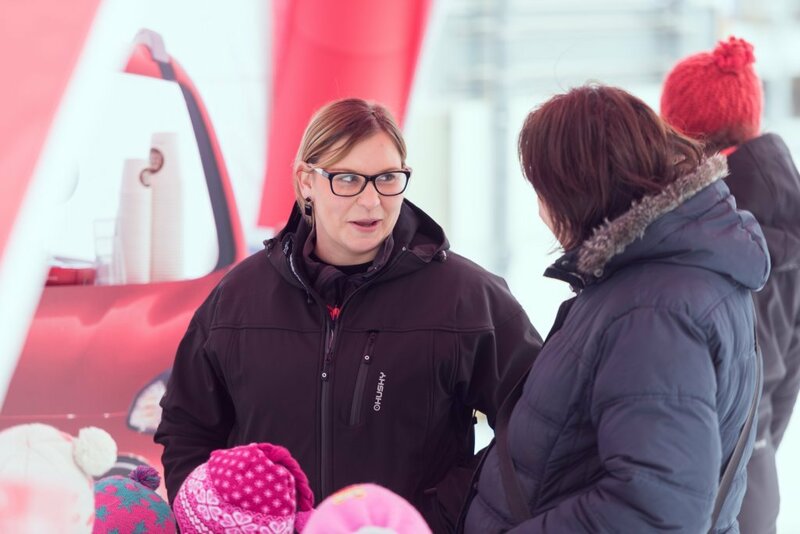 Mums can take a rest in the relaxation zone and have hot drinks at the KIA bar, while not exclusively for dads, there are 4 KIA cars waiting for a test ride and other activities associated with motor sports. 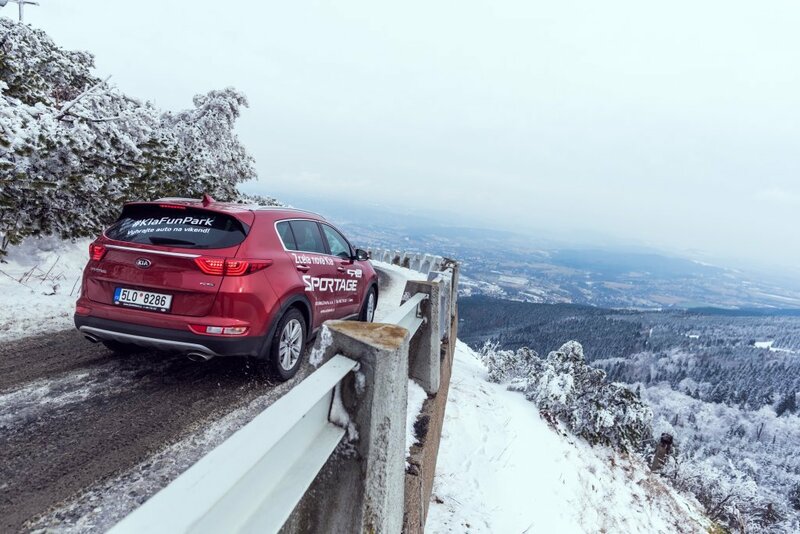 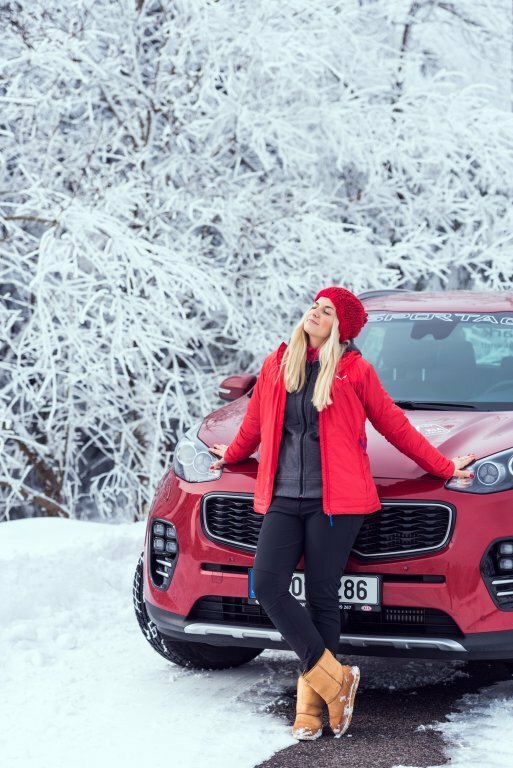 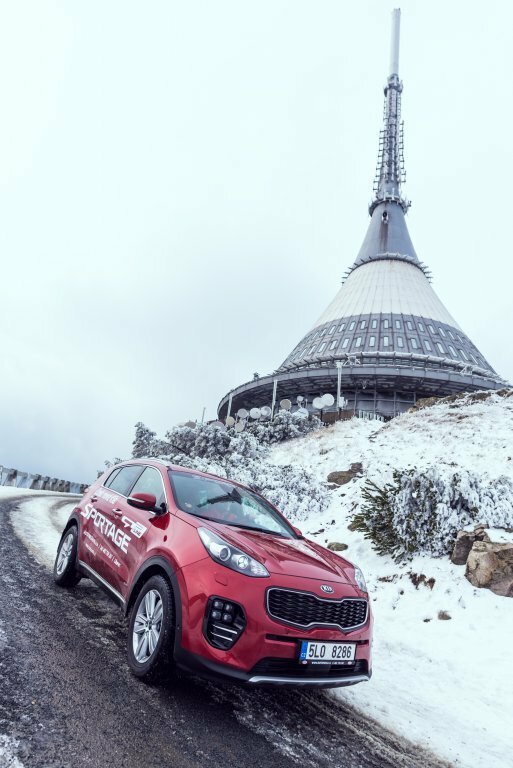 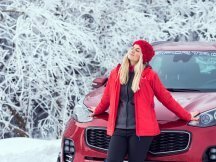 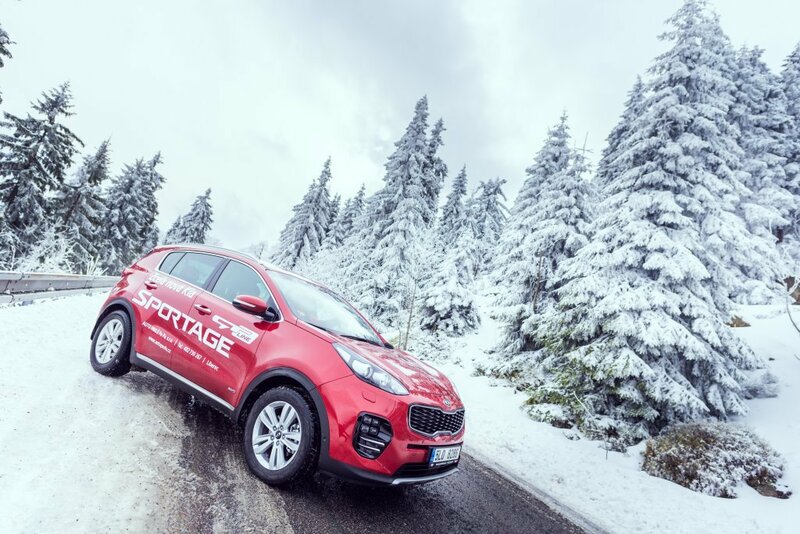 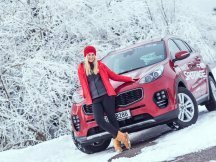 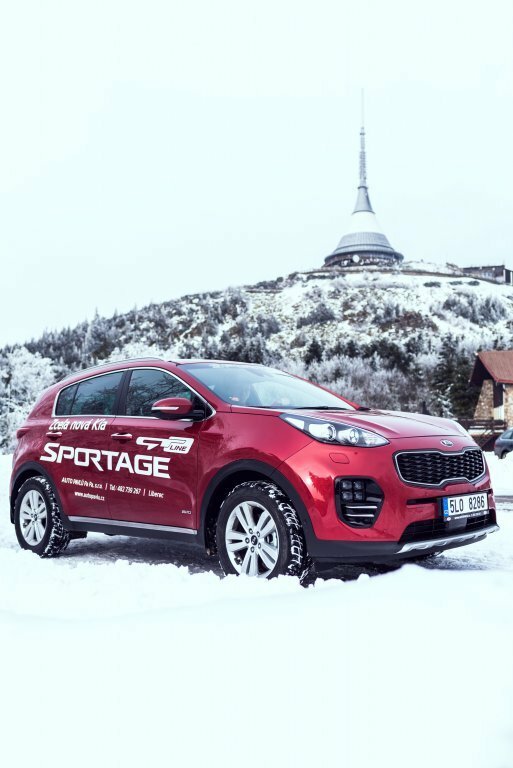 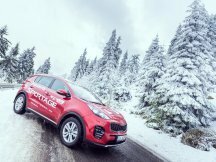 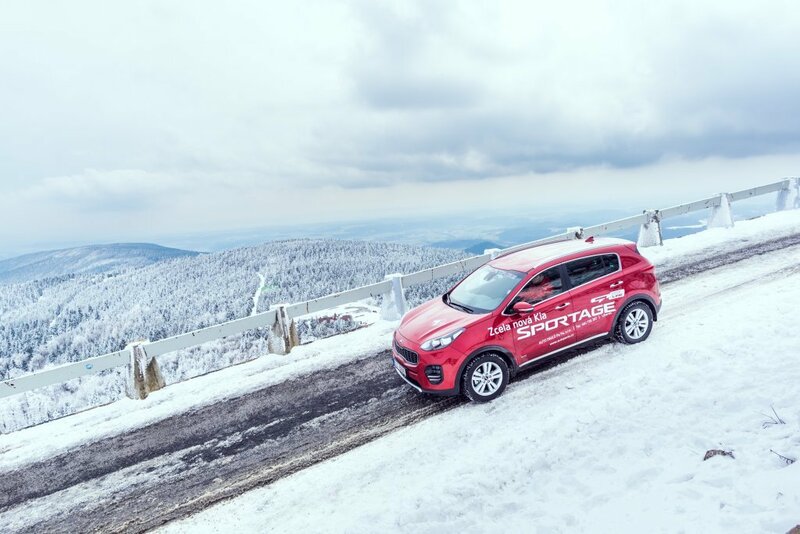 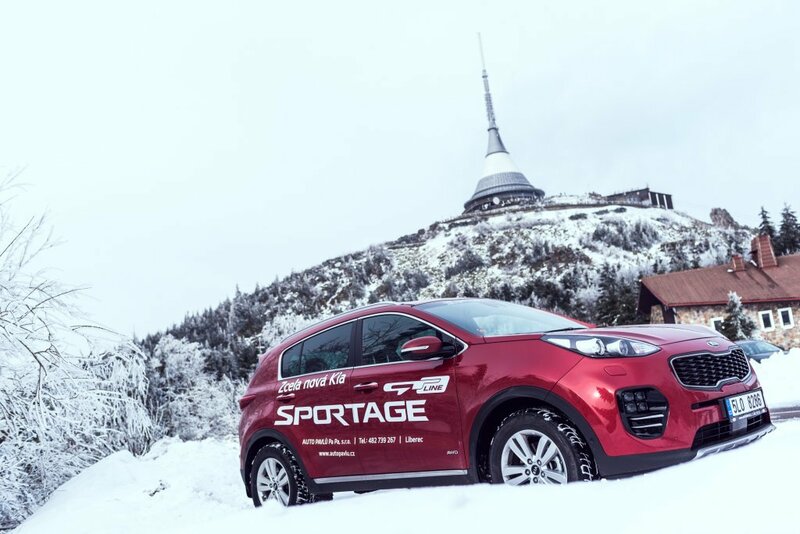 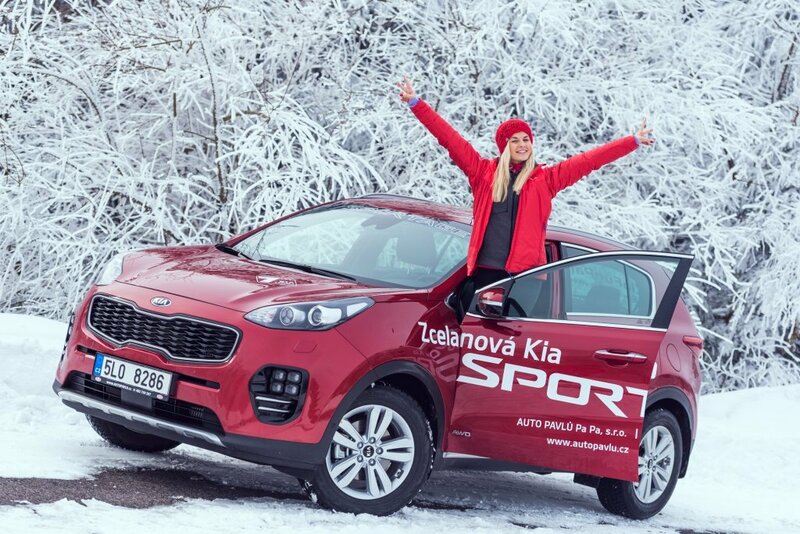 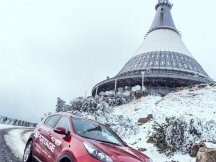 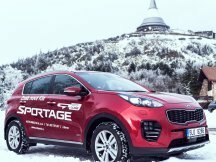 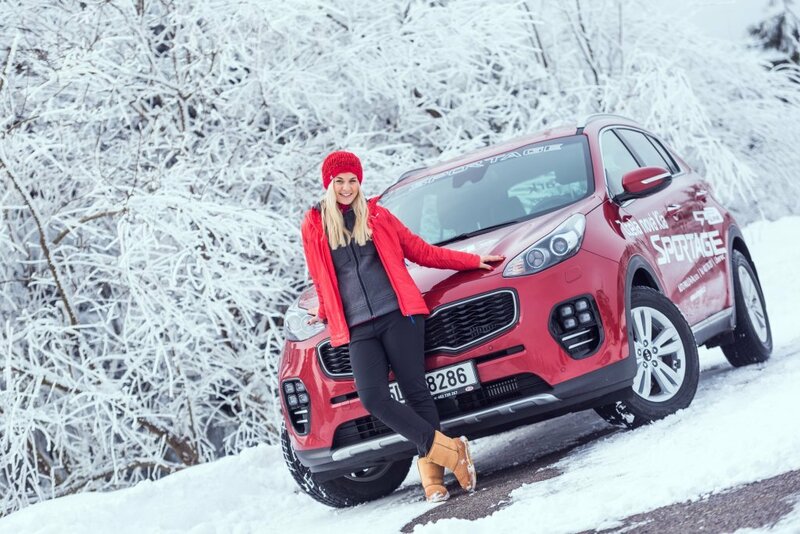 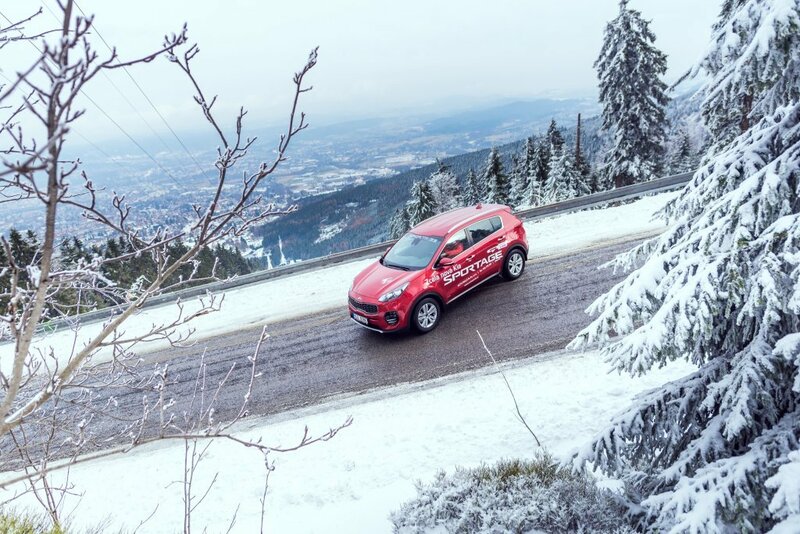 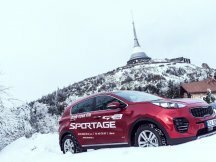 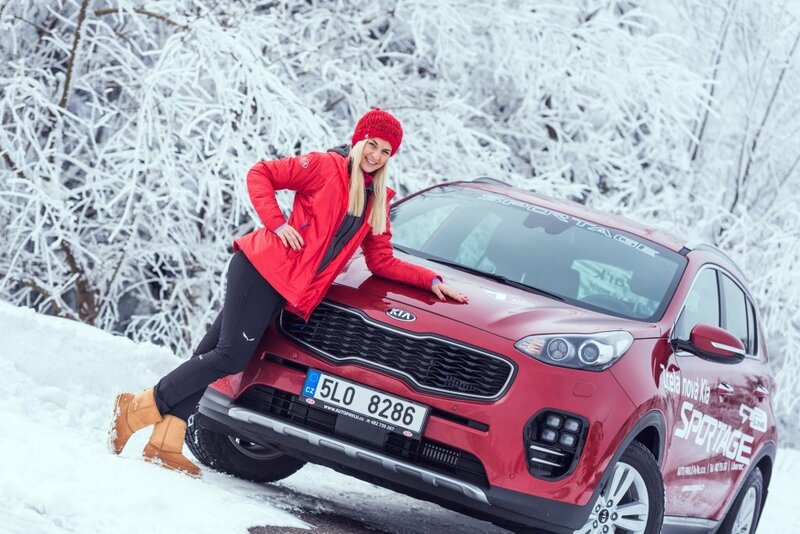 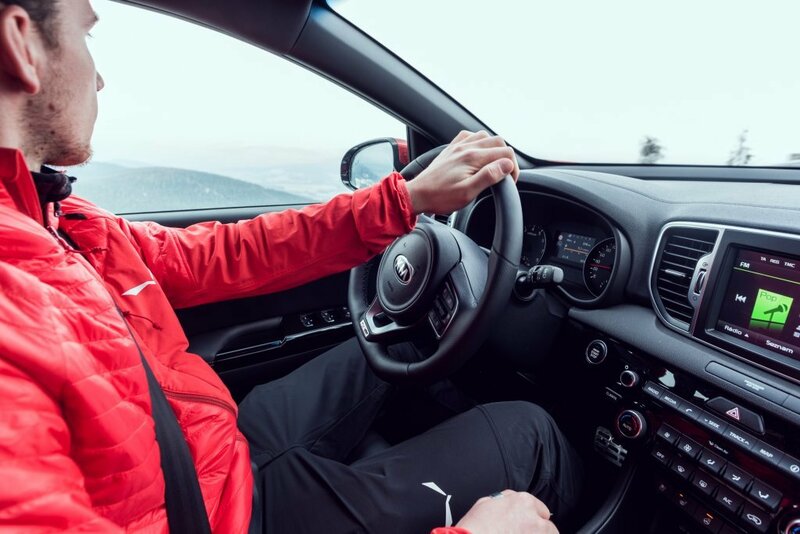 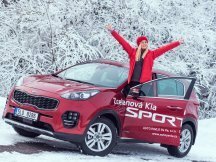 Within our Road Show, we are primarily focusing on the KIA “Sportage” with its all 4 wheel drive that visitors can test in the mountain terrain. 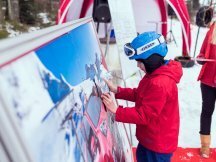 Pictures from our first show are available for viewing in our Gallery.